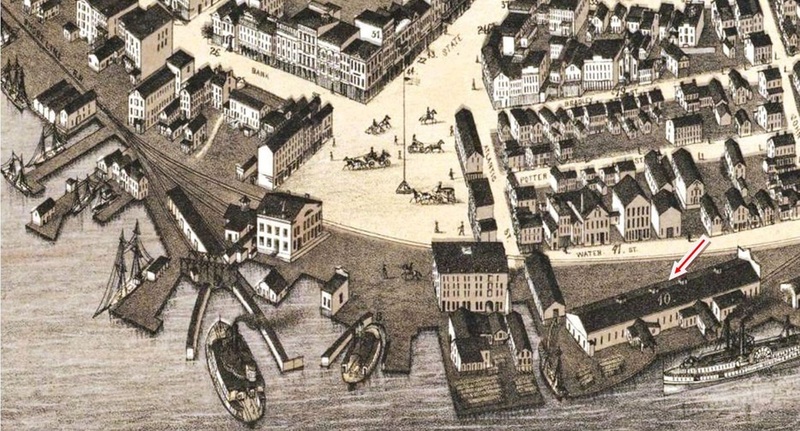 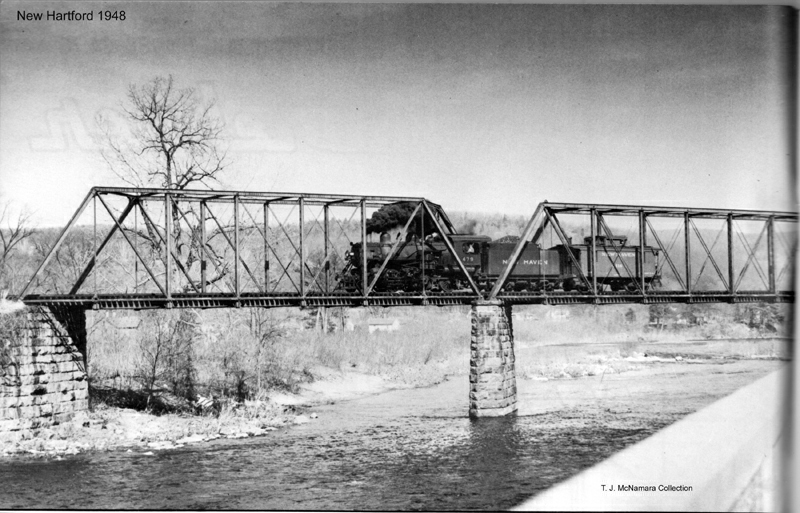 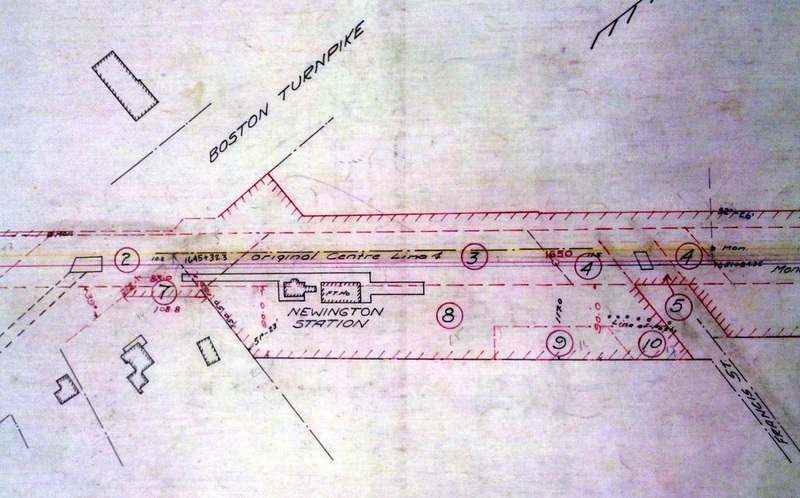 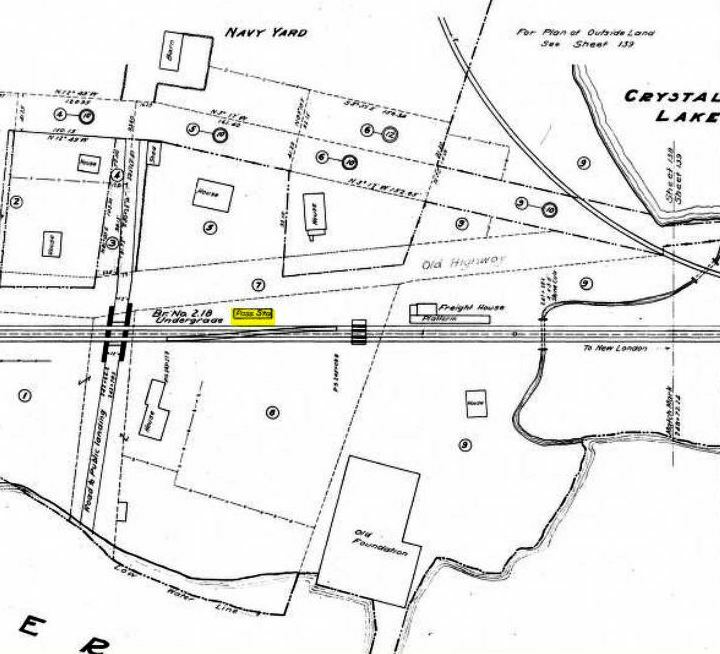 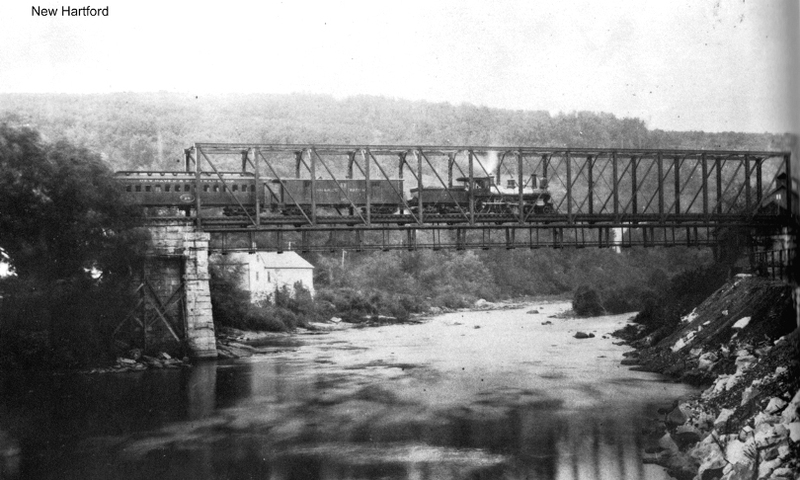 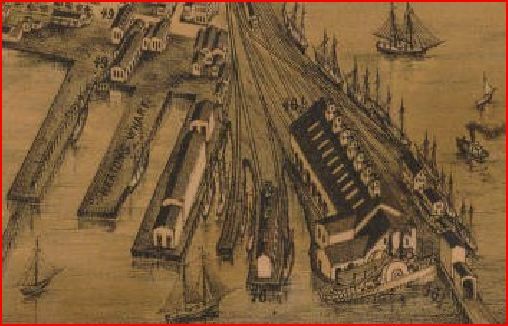 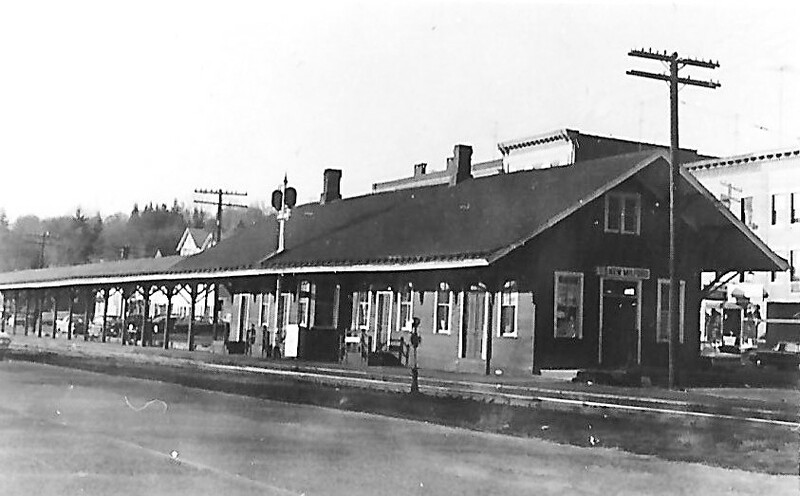 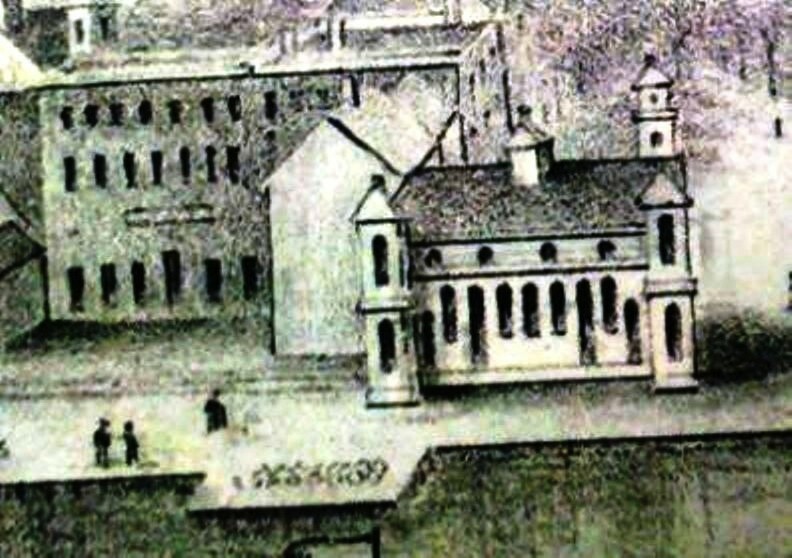 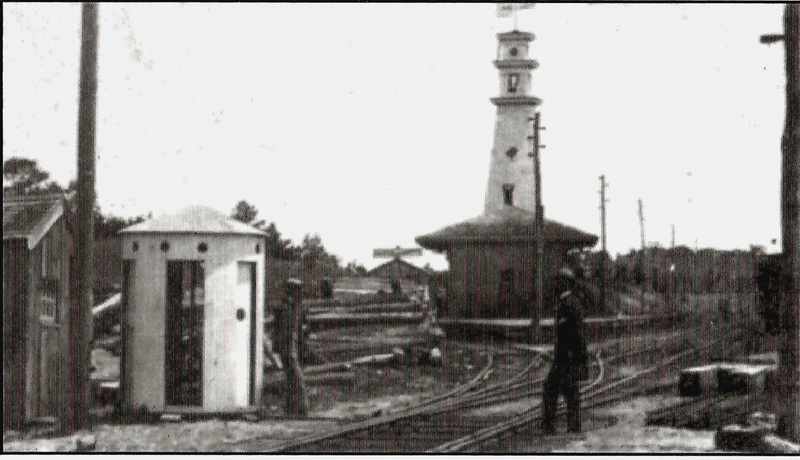 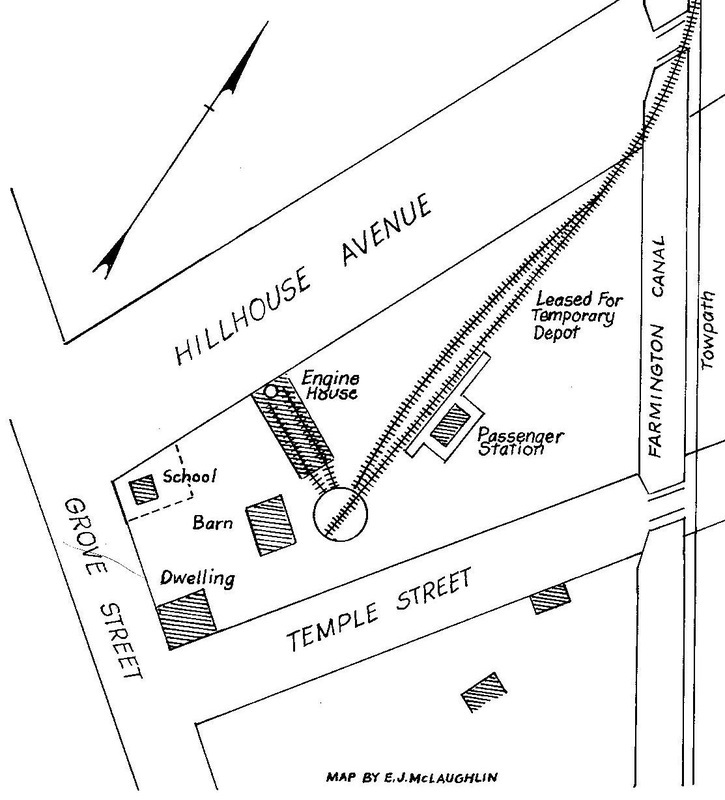 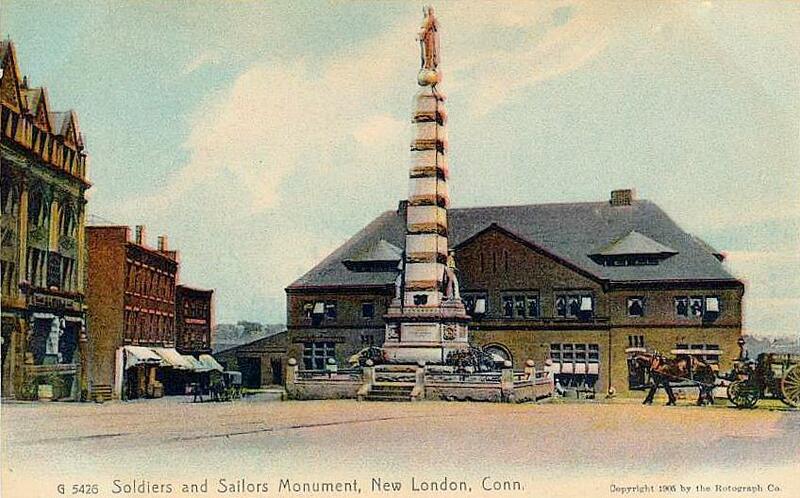 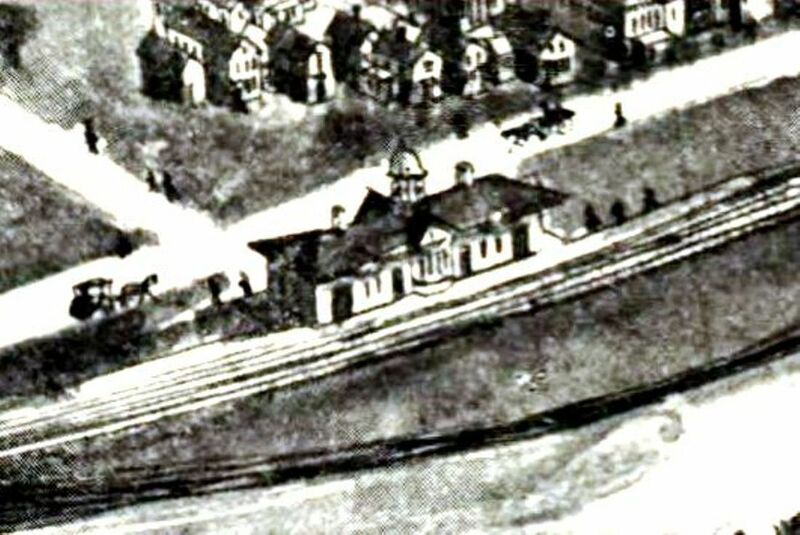 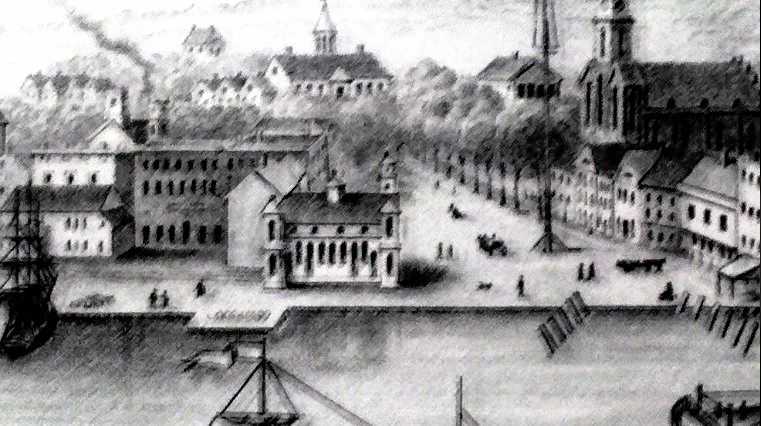 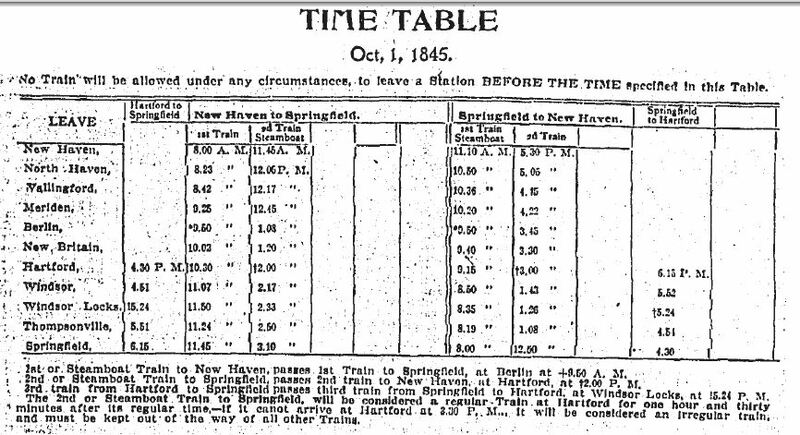 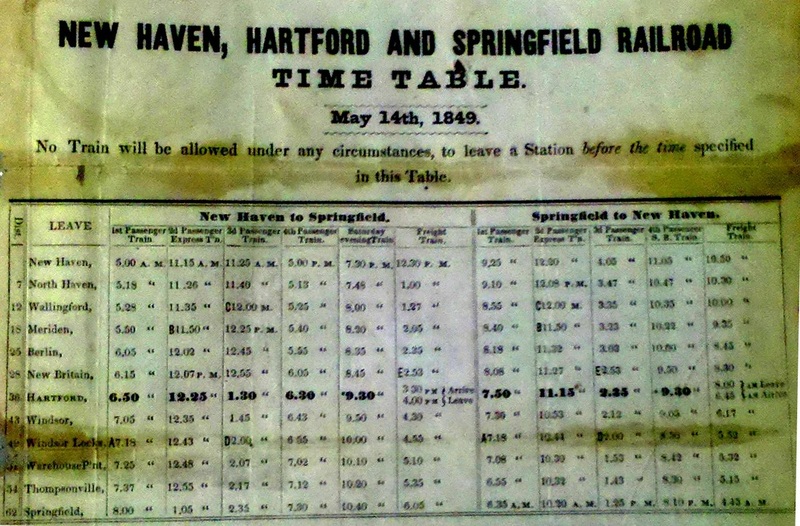 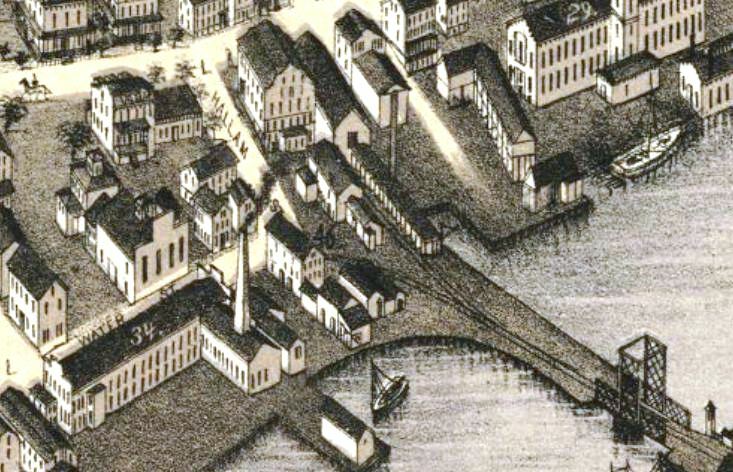 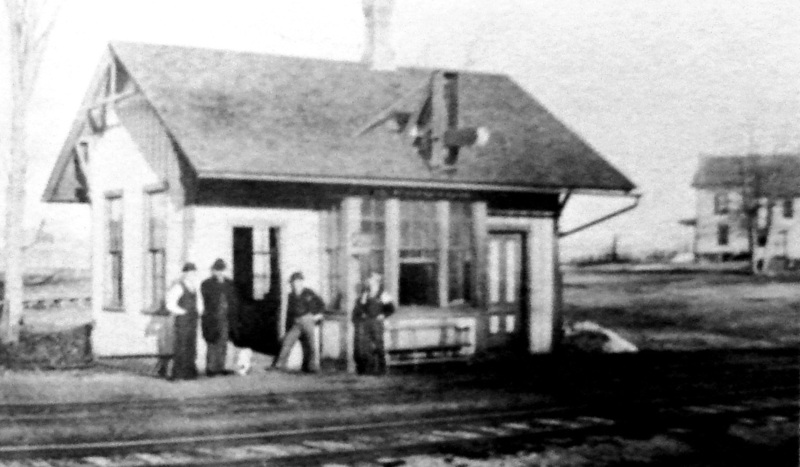 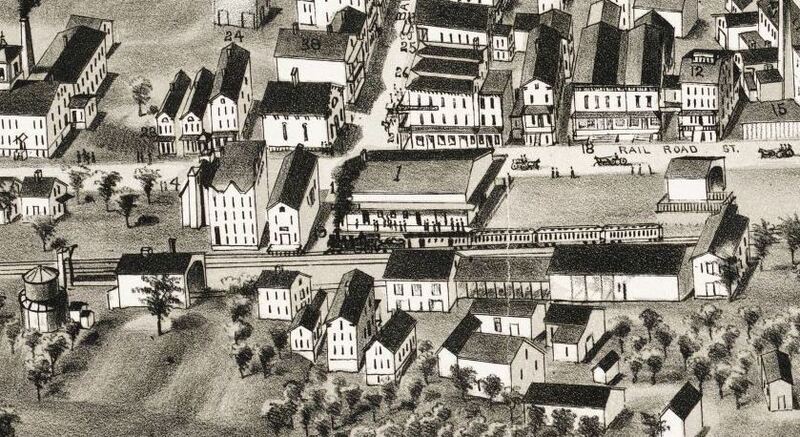 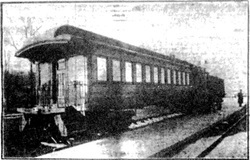 The first station in the Elm City was at Belle Dock, the terminus of the H&NH, which opened in 1838. 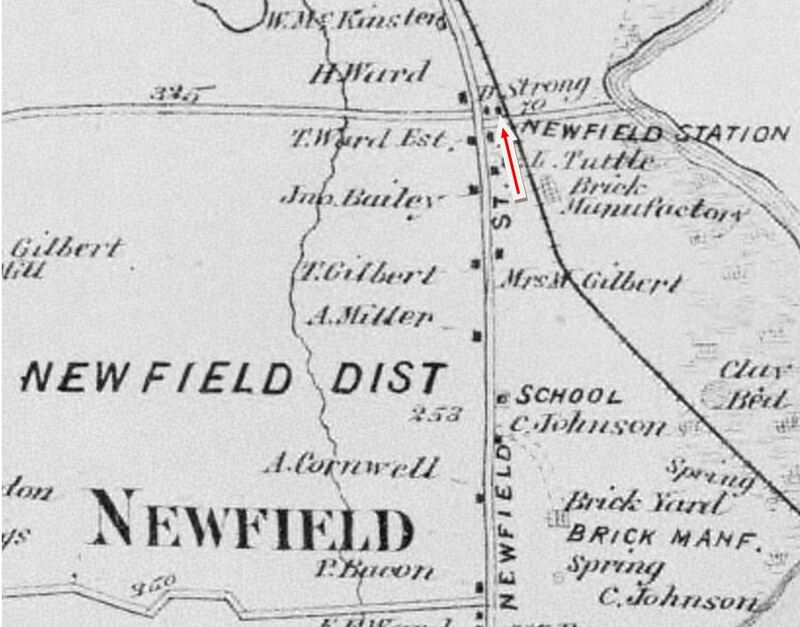 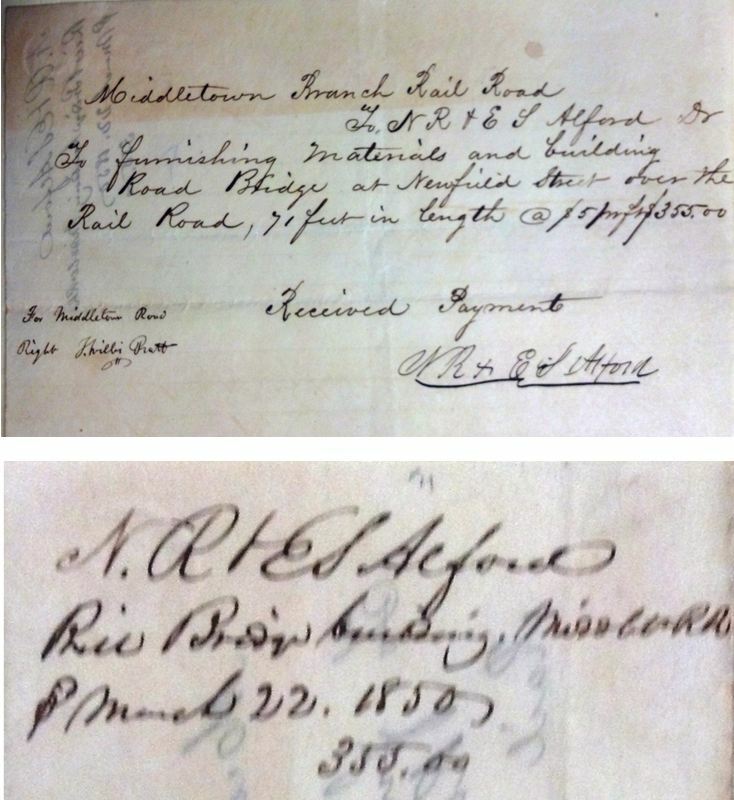 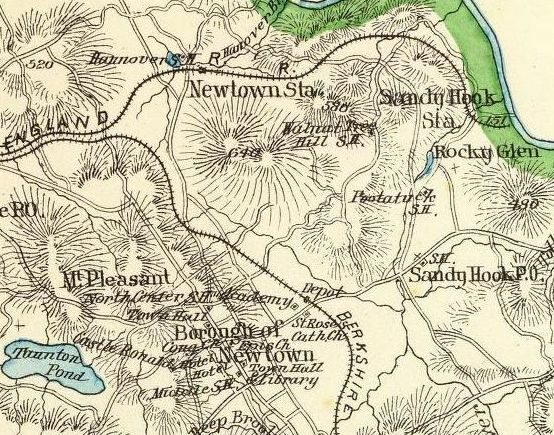 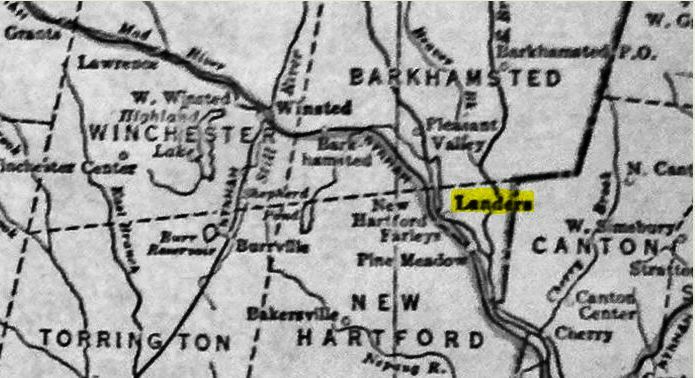 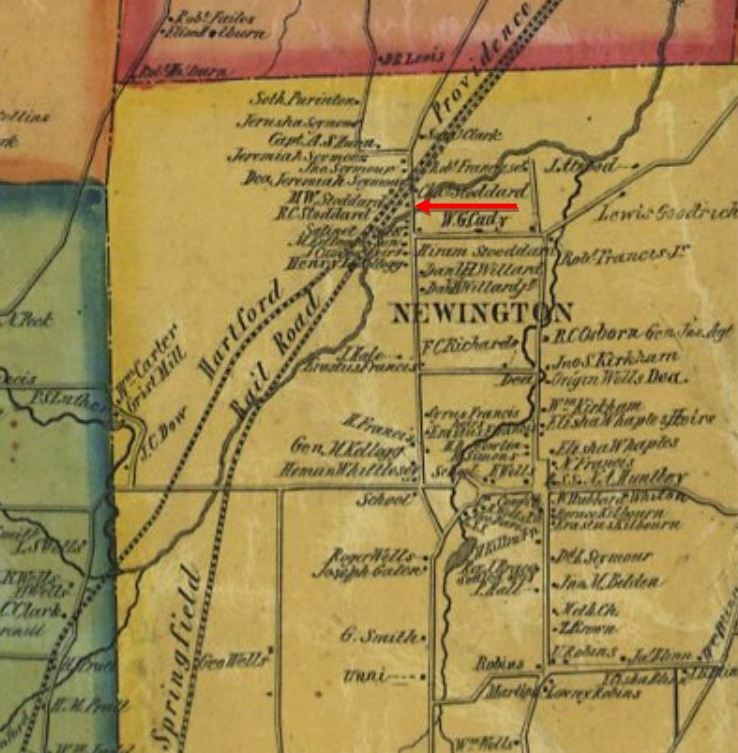 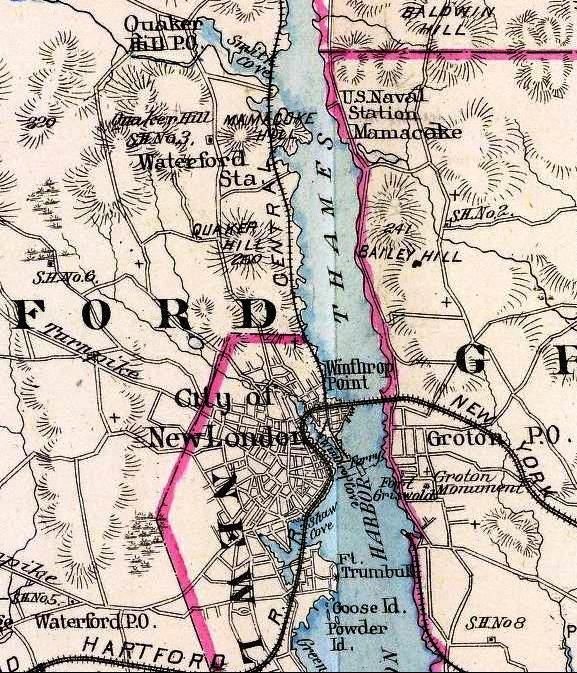 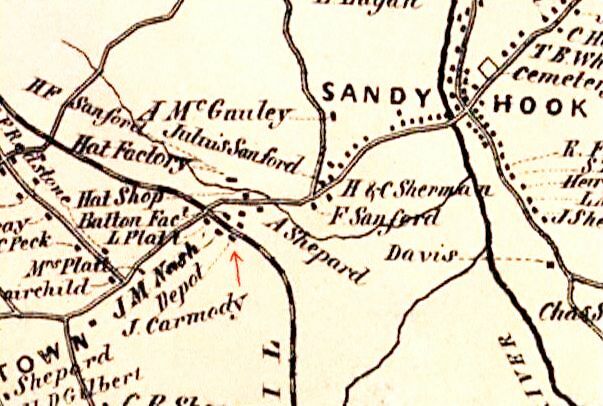 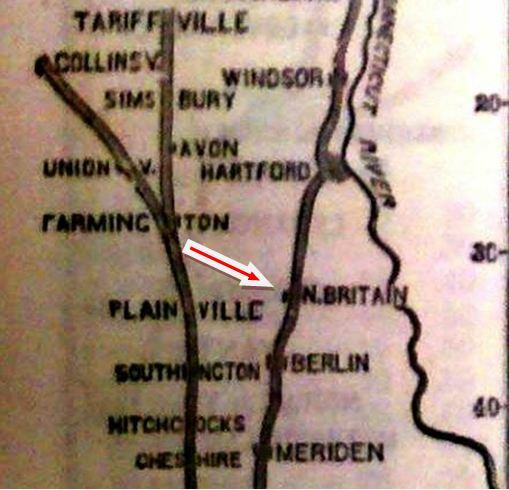 The shot on the left is from the 1852NH map showing the location. 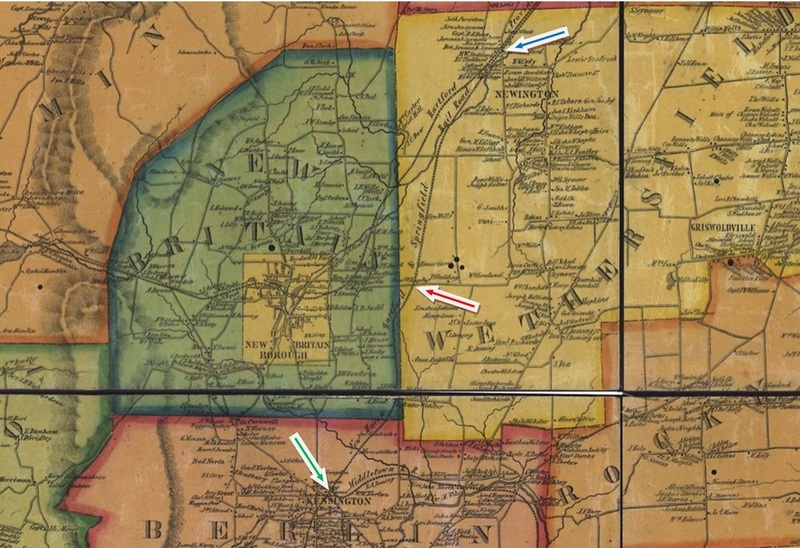 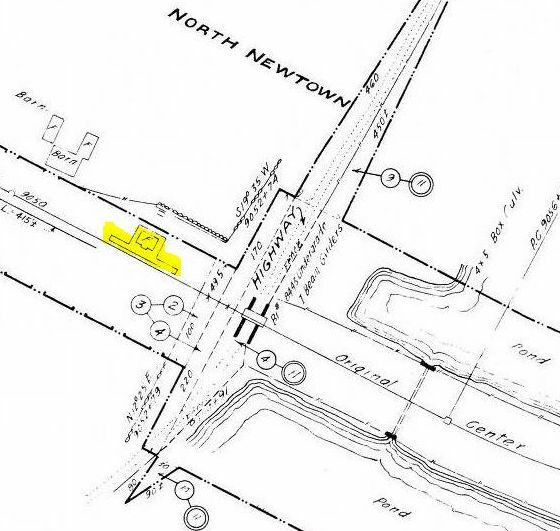 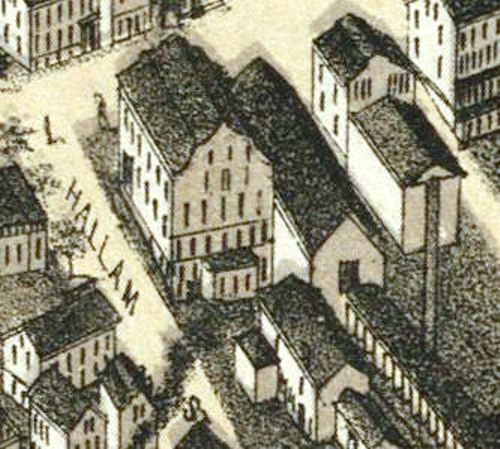 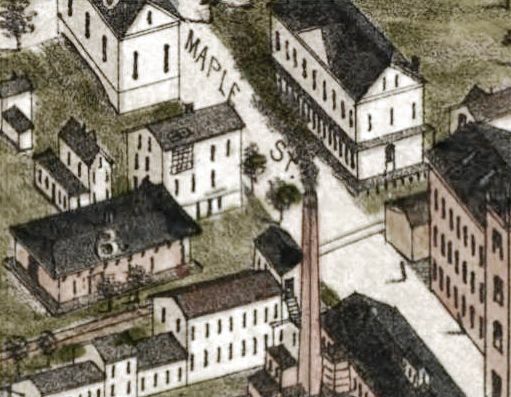 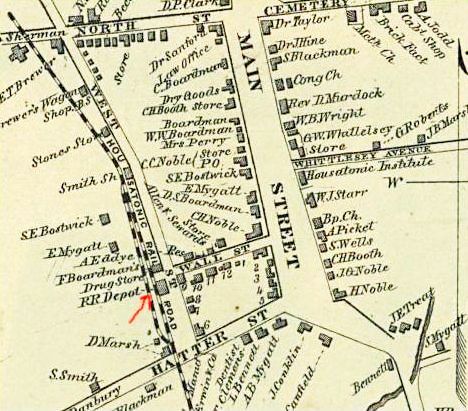 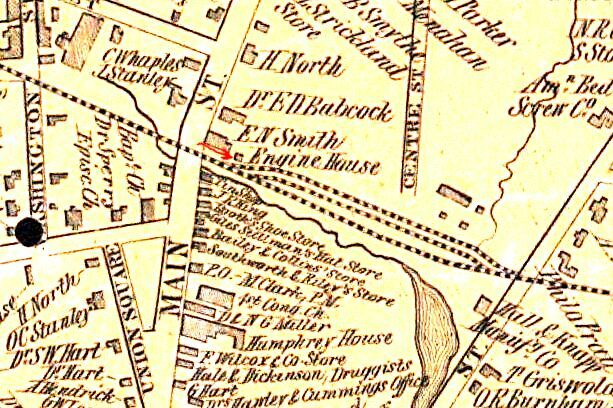 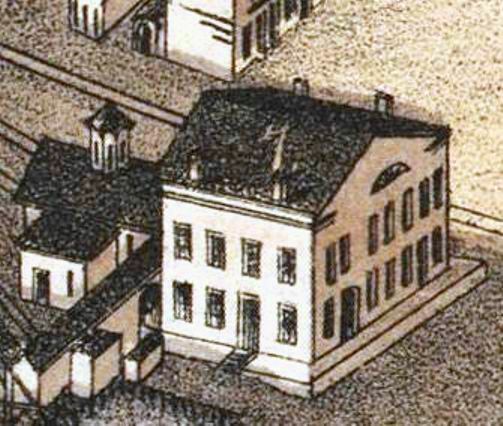 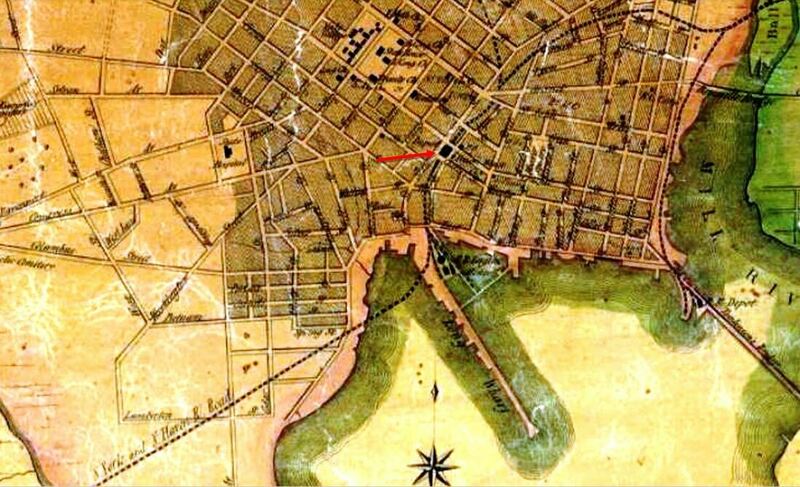 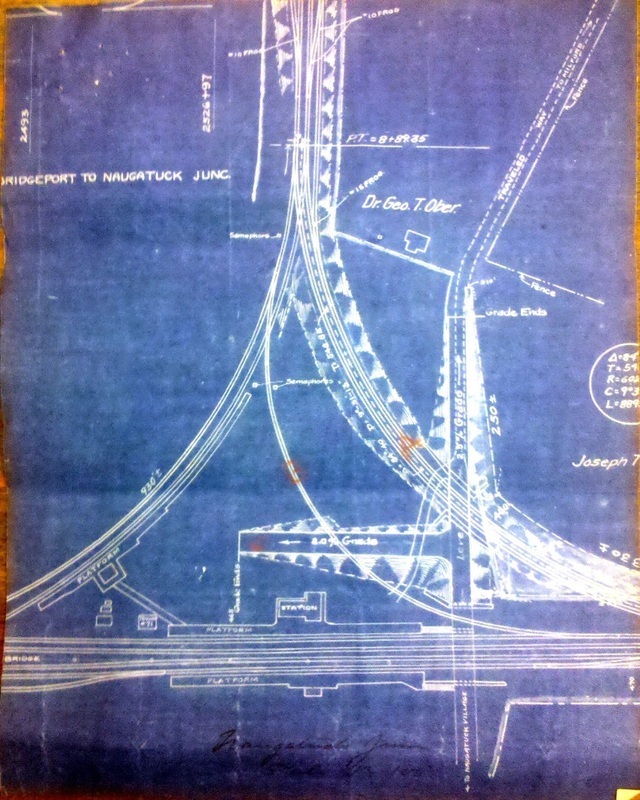 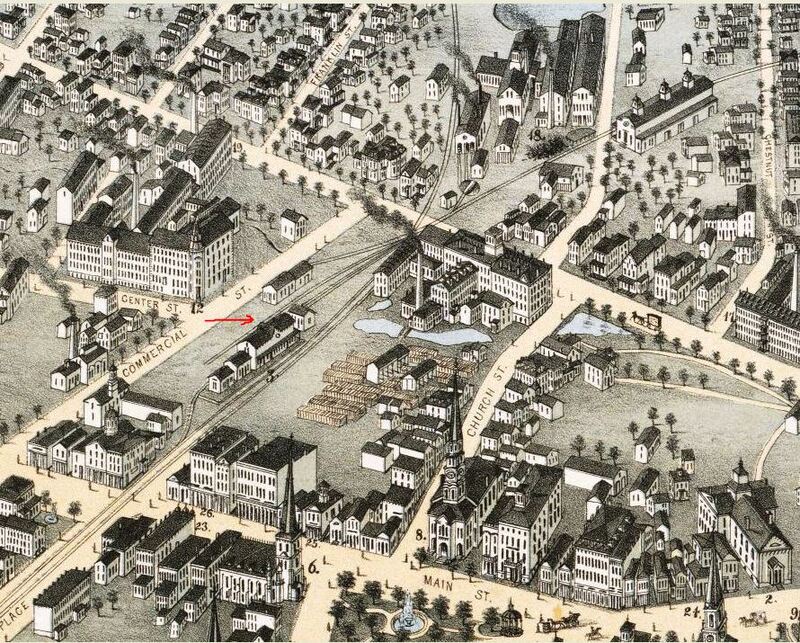 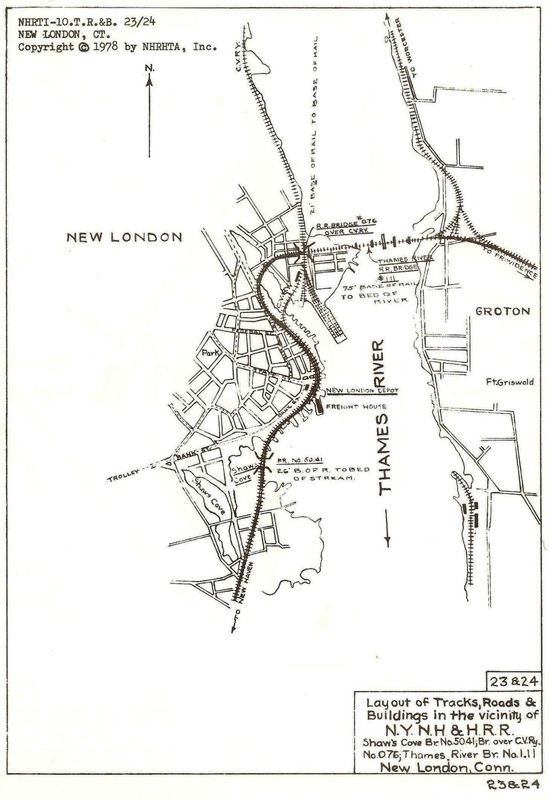 The snippet on the right is from the 1879 Bailey bird's-eye map of New Haven [click here]. 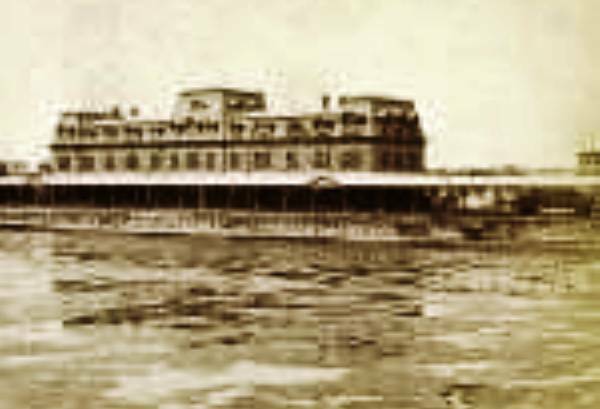 The large building in the lower right, with the paddle wheeler docked below, served as the passenger station. 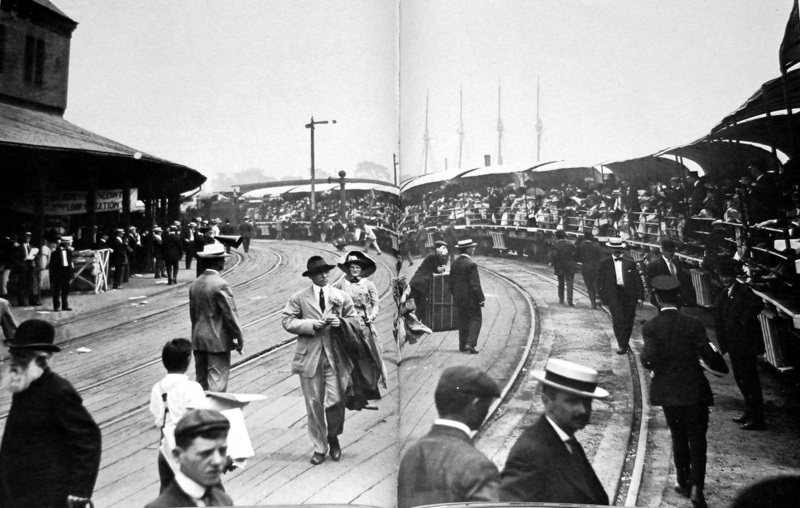 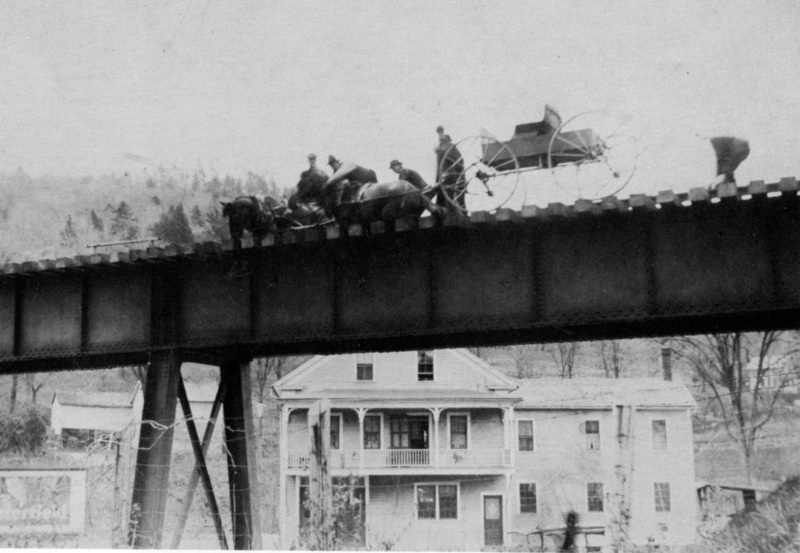 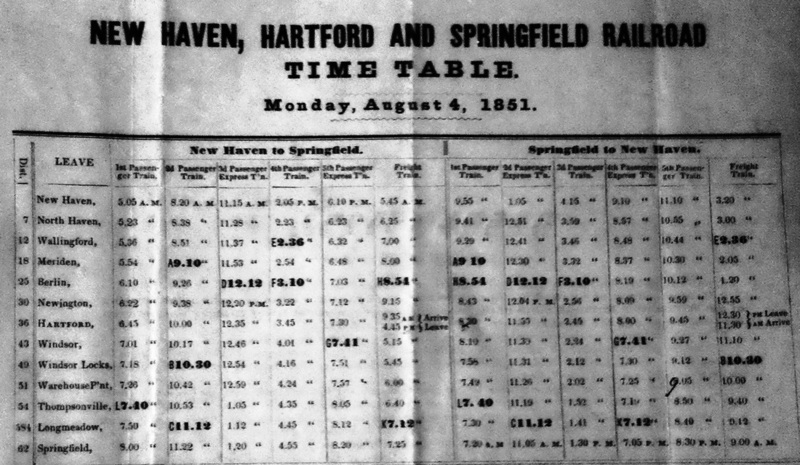 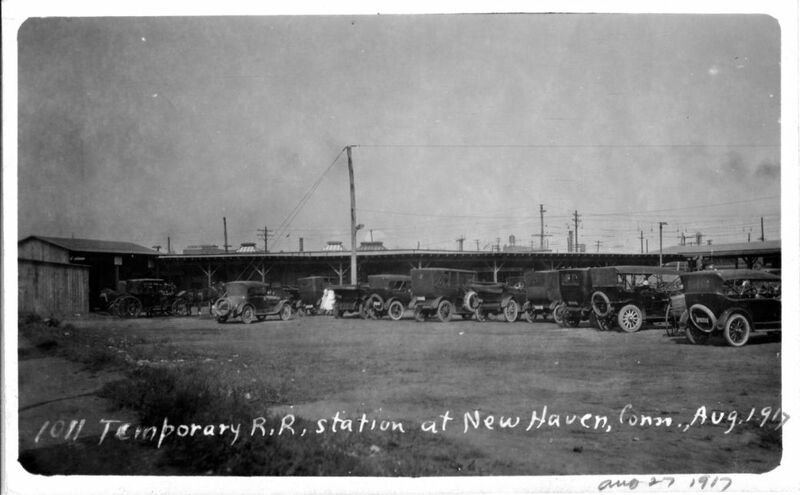 Freight and passengers made the connection here with the boats for New York City, but New Haven-bound passengers alighted here as well. 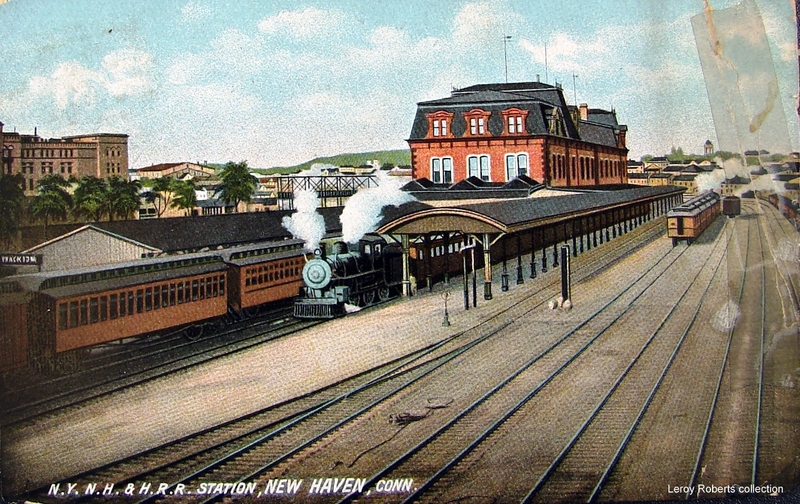 As best as we can determine the little building above the 'ST' at 211 West Water St. served as the the NH&D's station when it departed NEW HAVEN3, the Austin depot on Chapel St., in consequence of the opening of NEW HAVEN4. 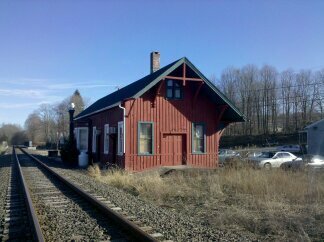 See Track 2, MP 2.3 for more. 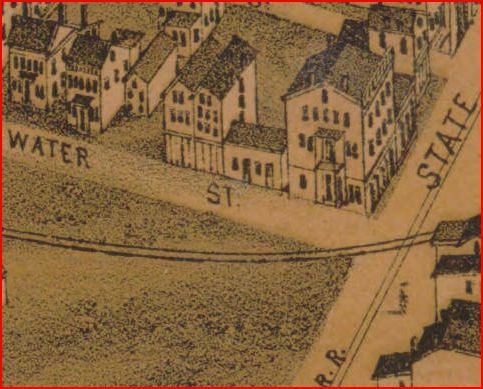 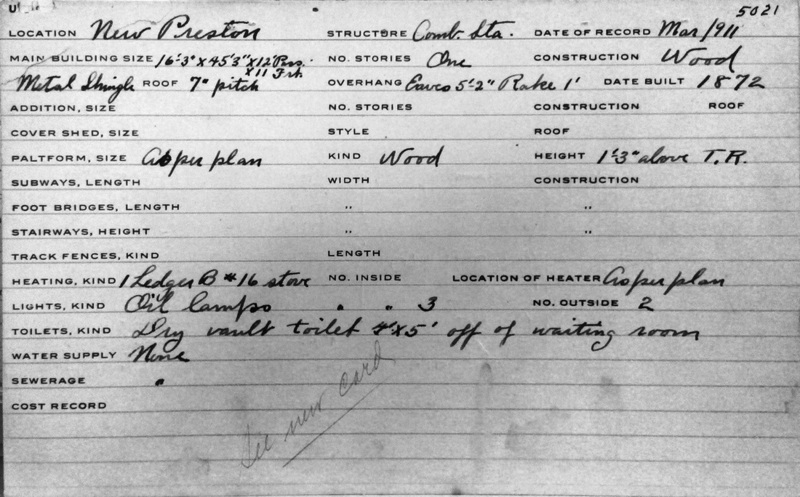 This was the NH&D's 1877 depot location in rented space on Custom House Square just below West Water St. until NEW HAVEN7 opened. 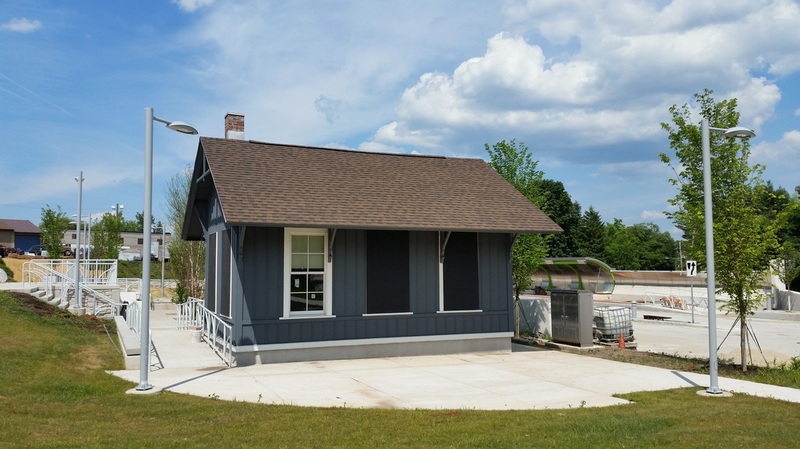 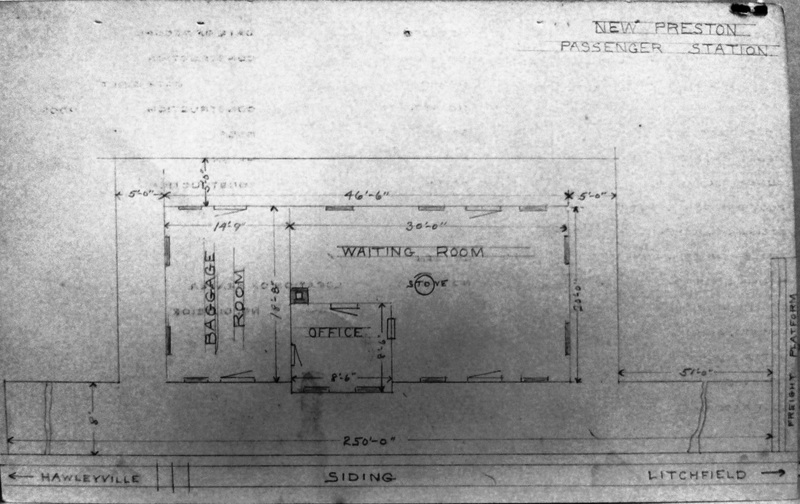 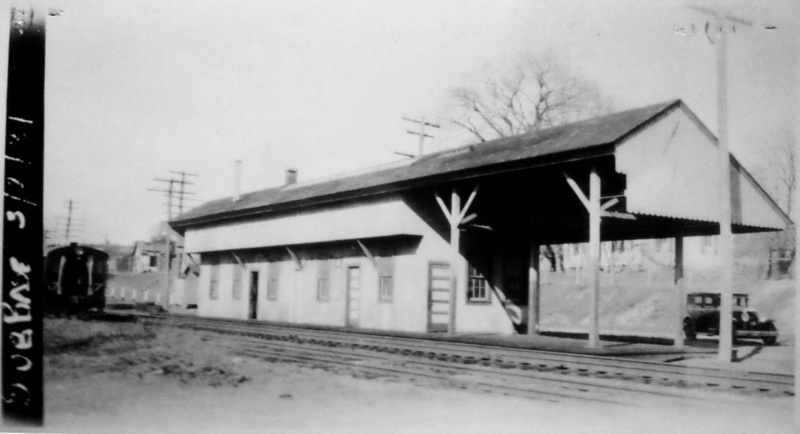 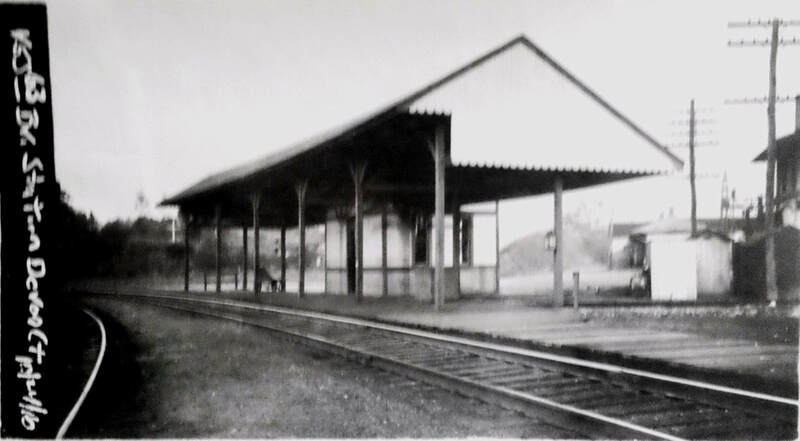 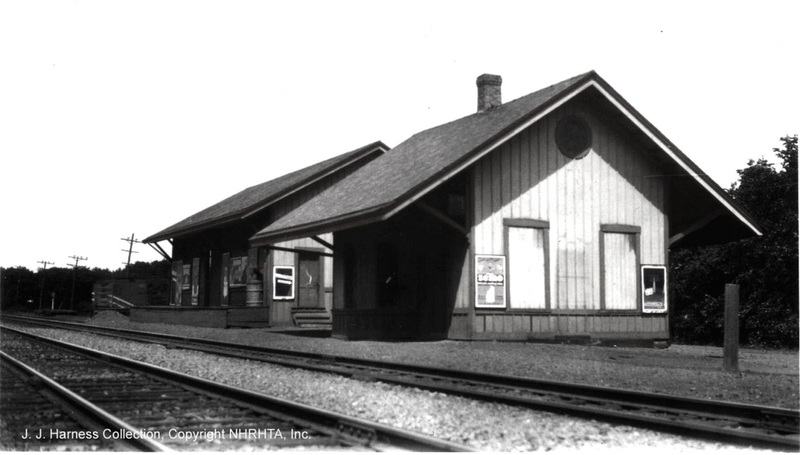 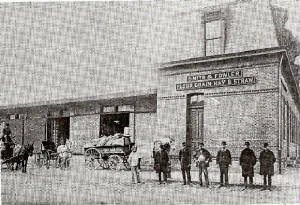 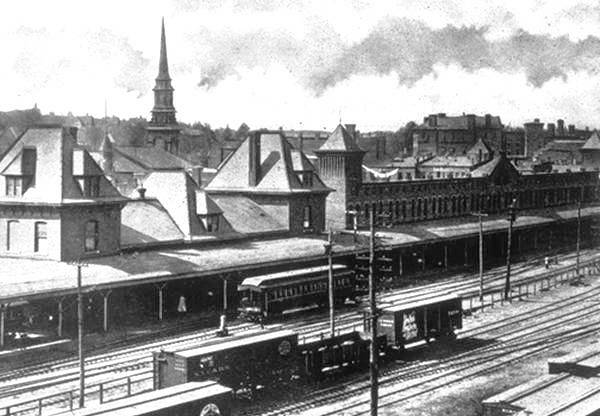 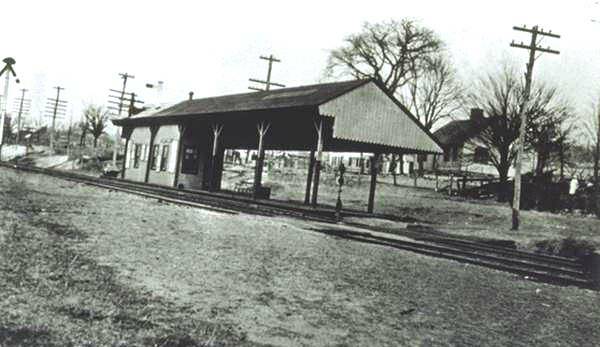 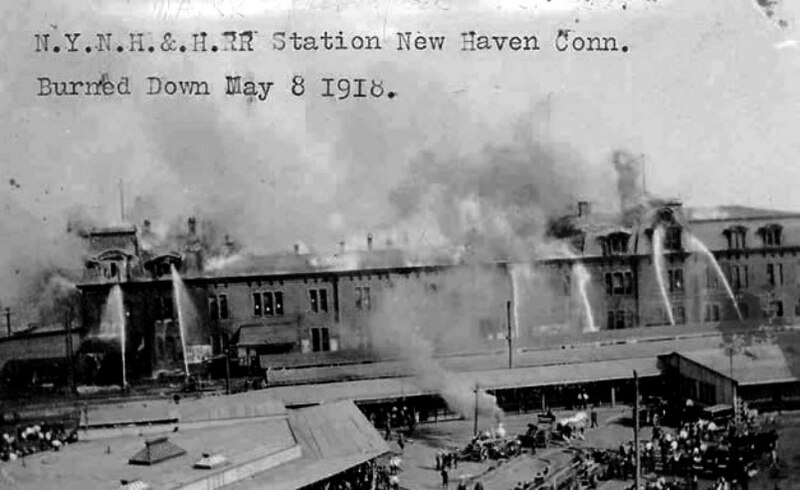 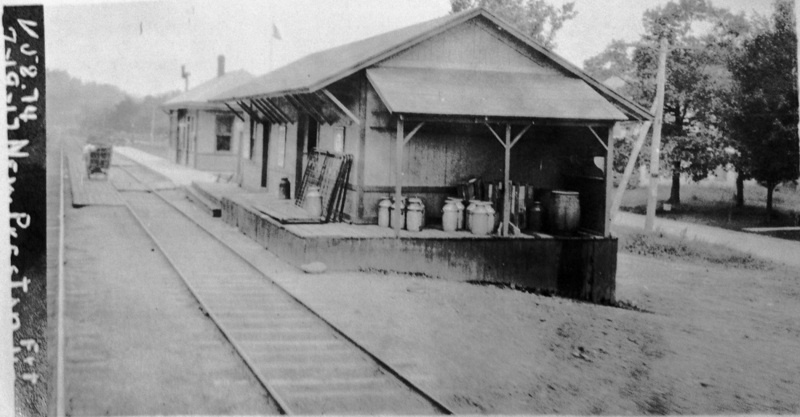 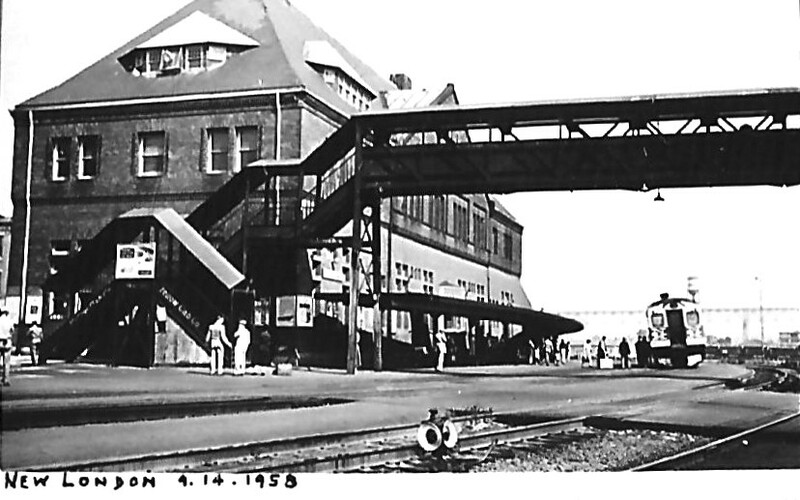 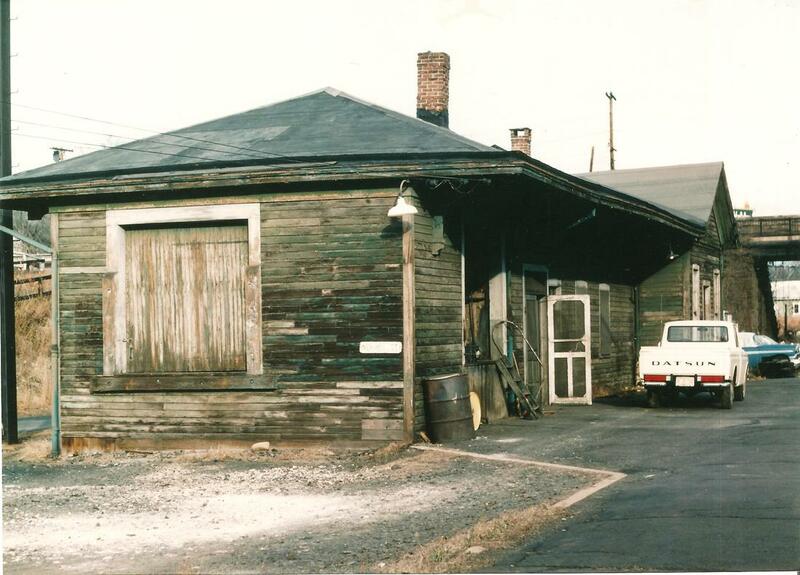 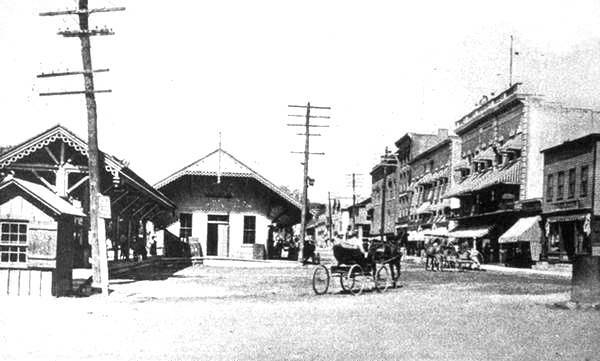 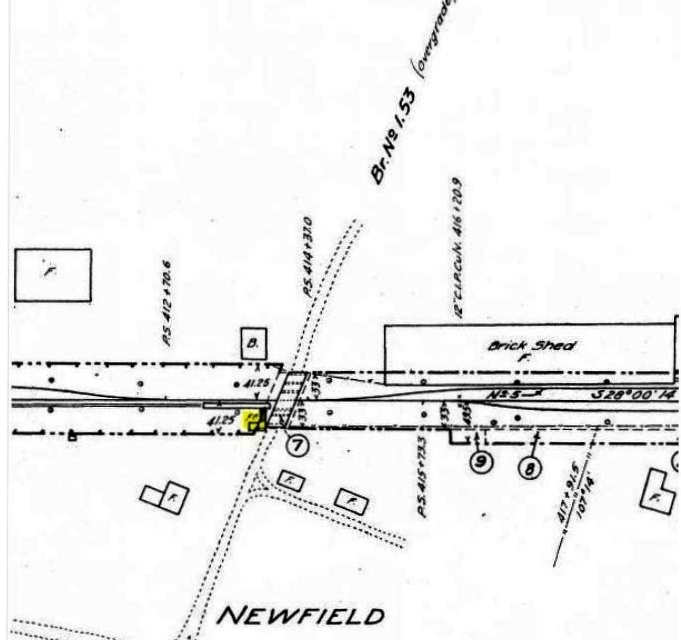 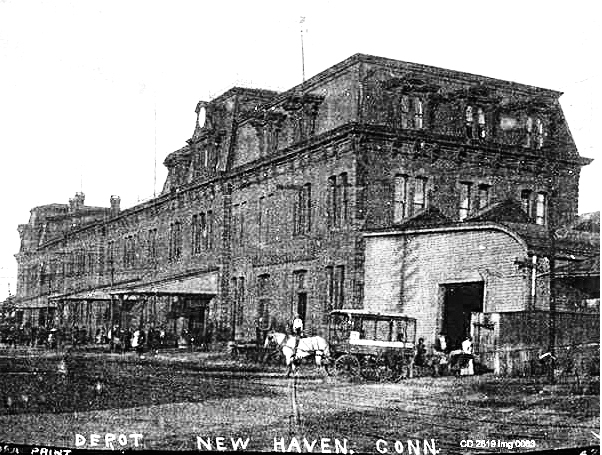 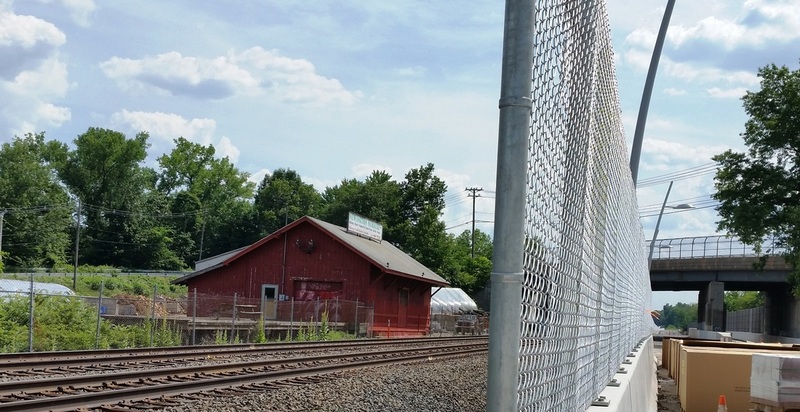 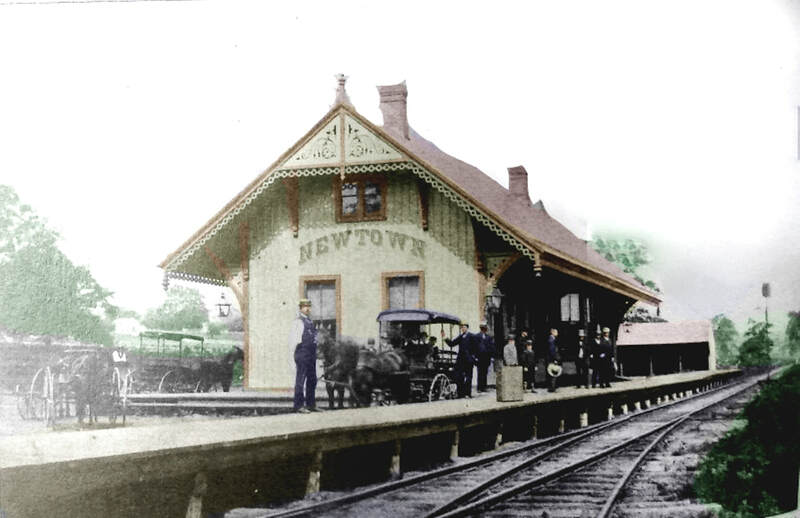 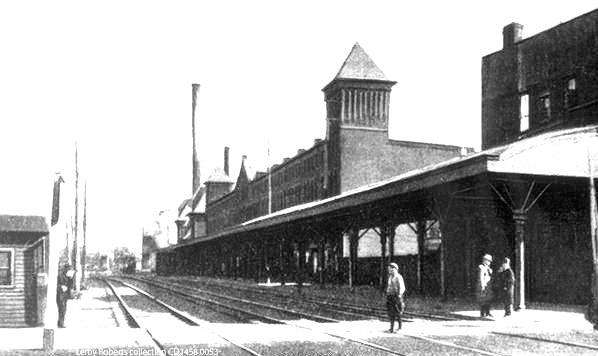 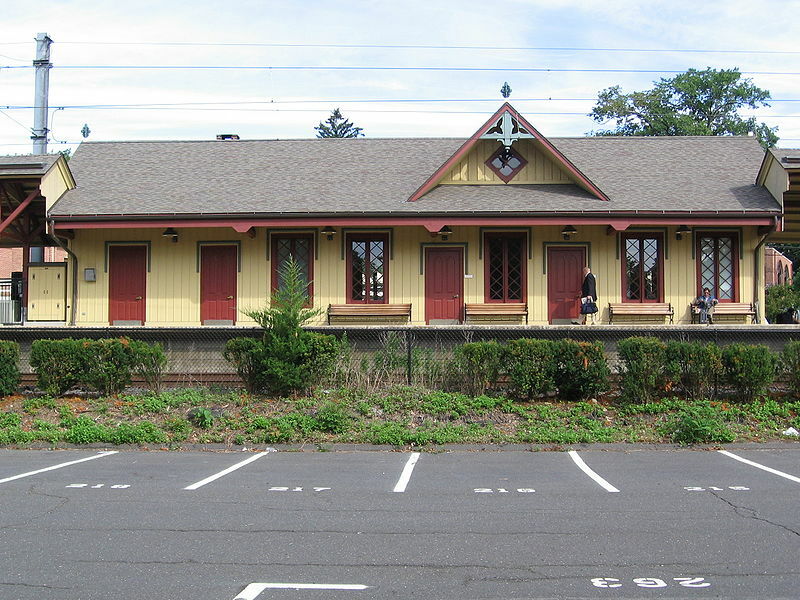 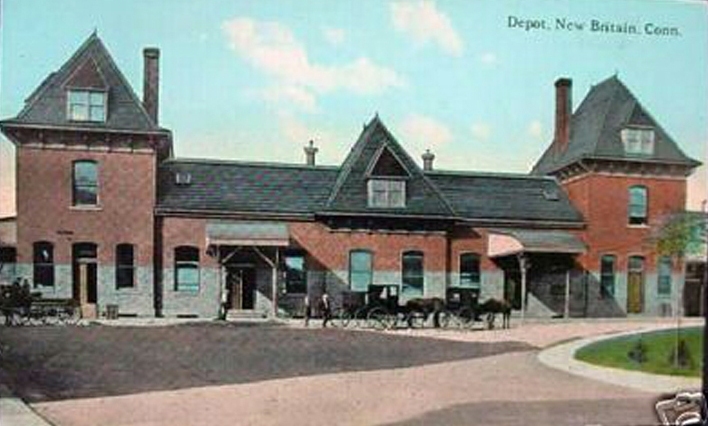 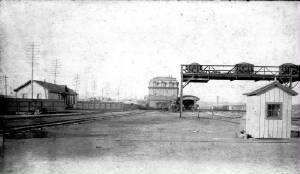 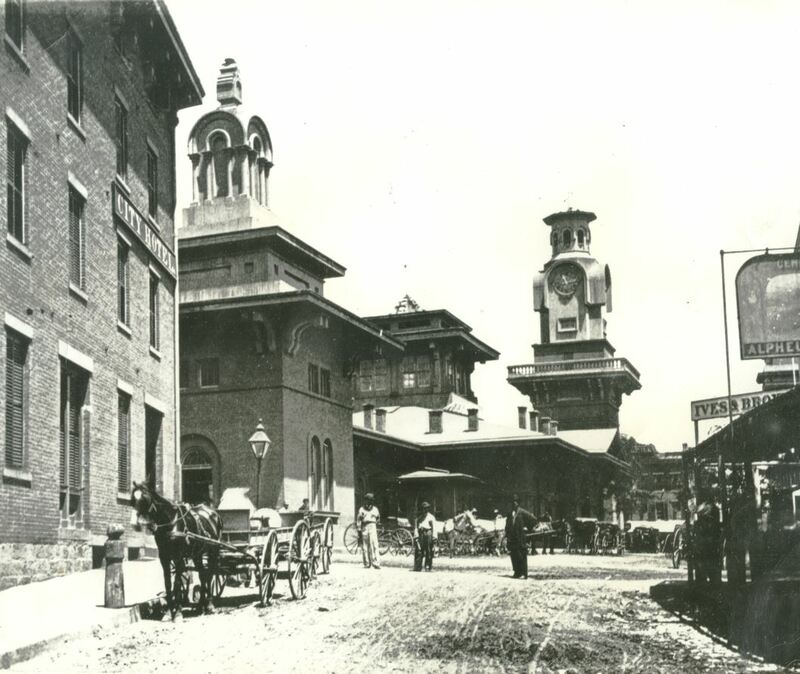 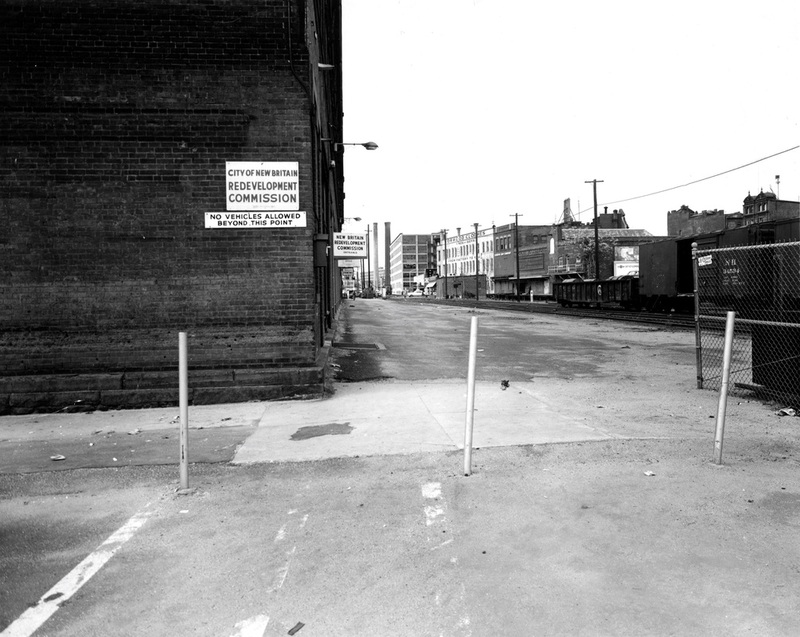 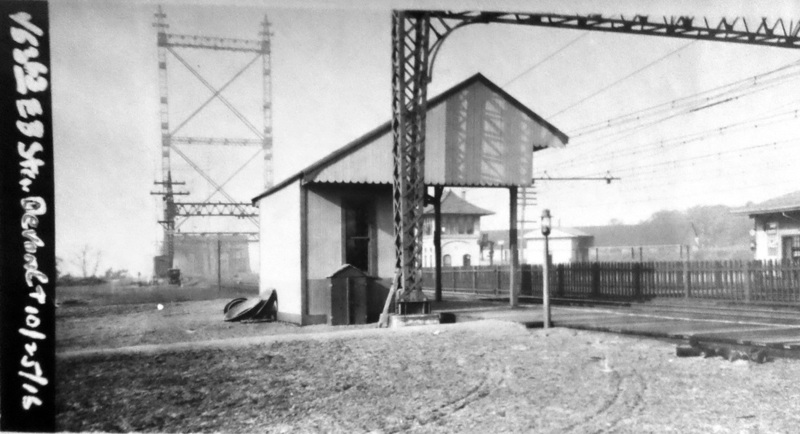 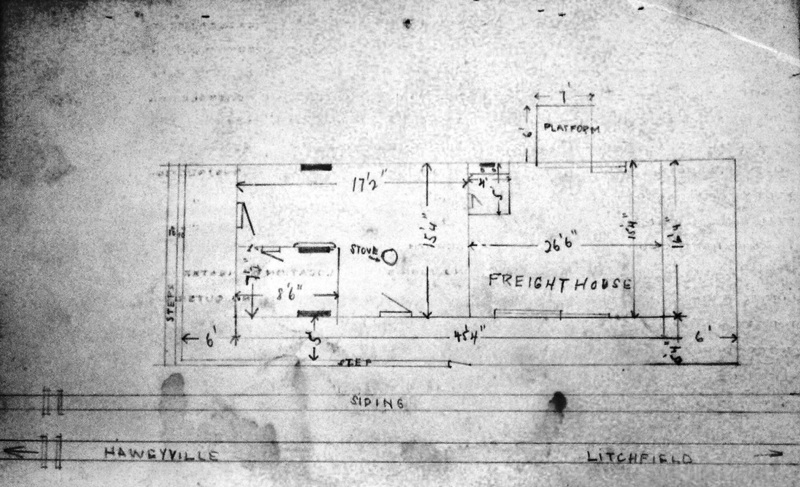 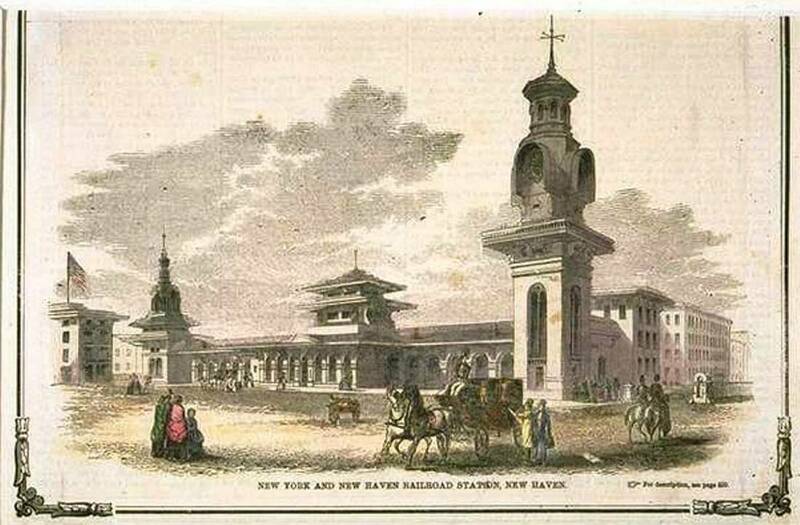 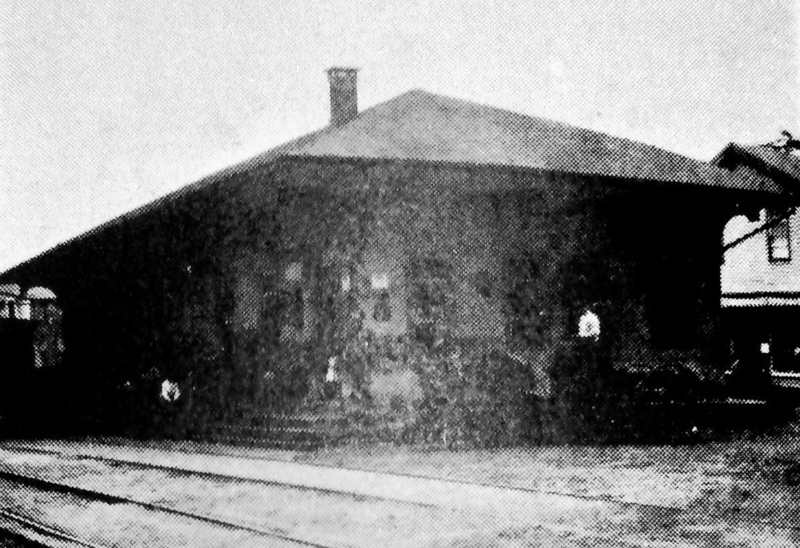 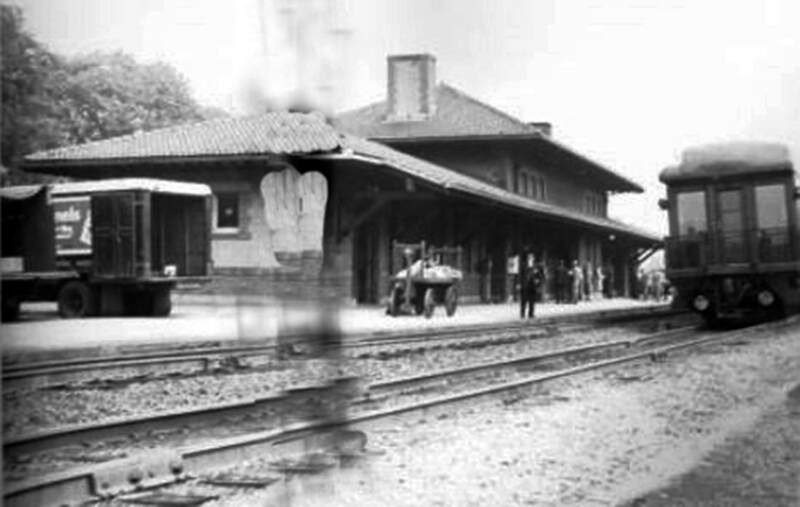 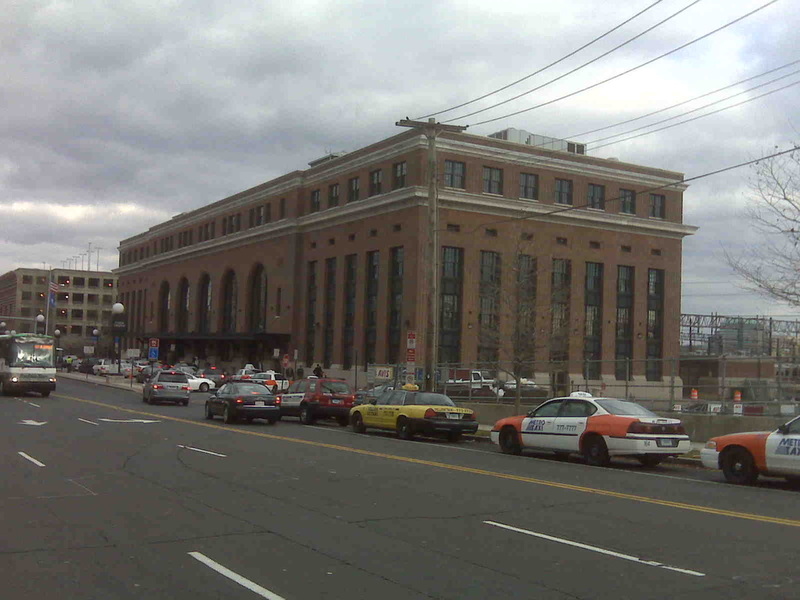 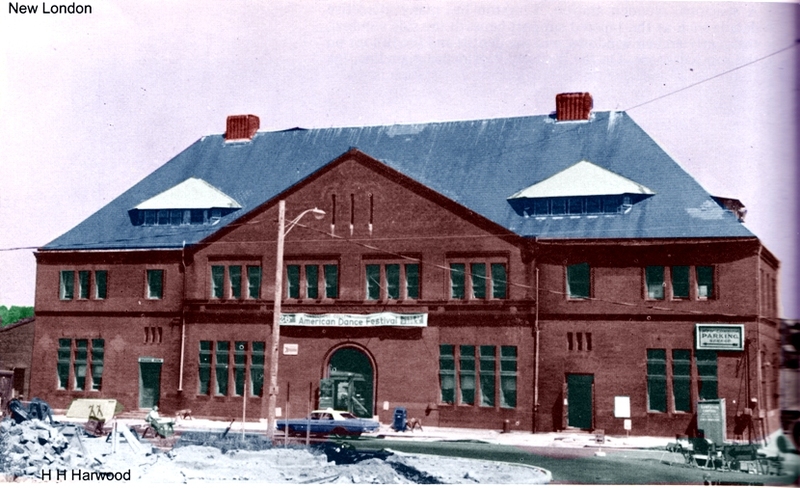 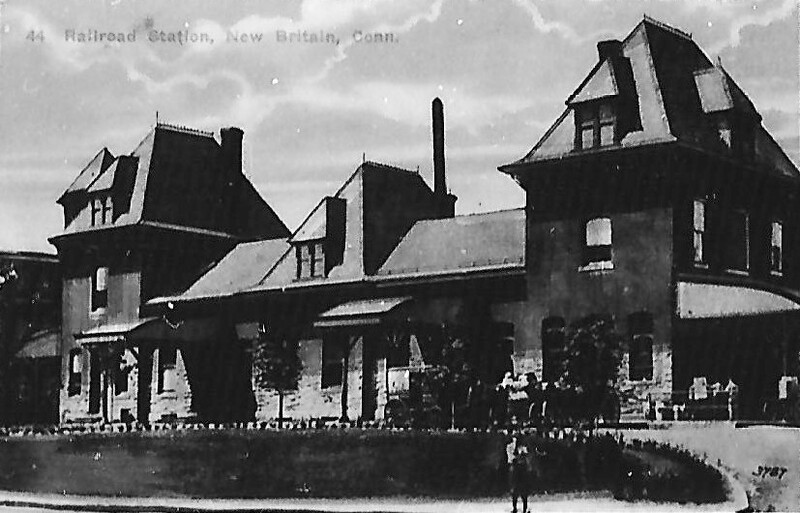 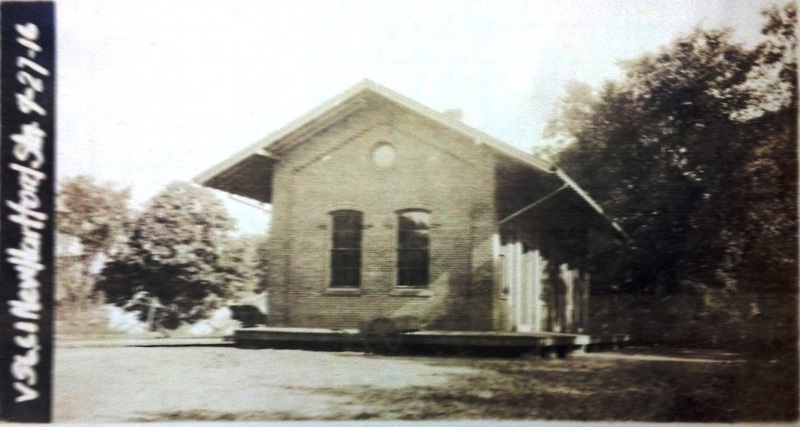 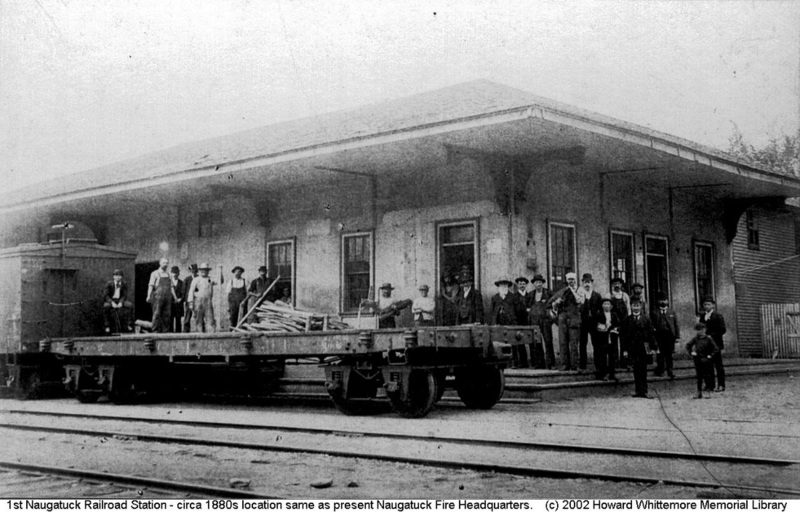 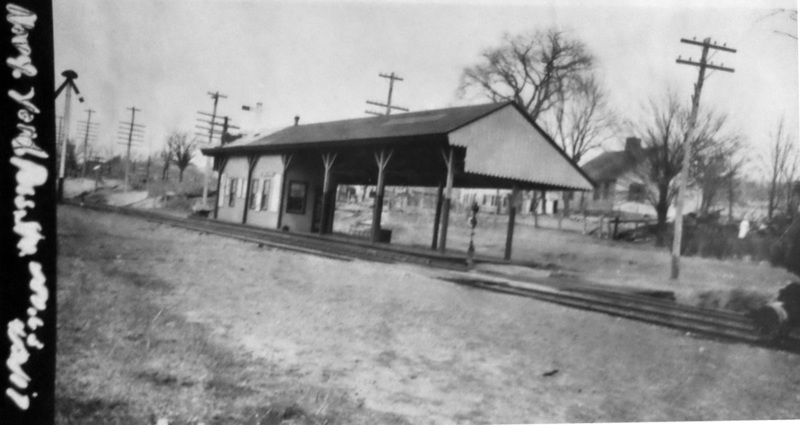 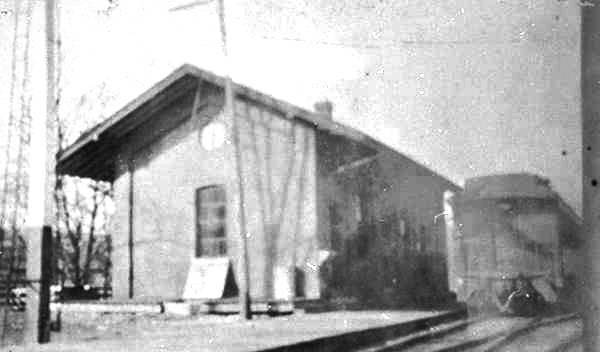 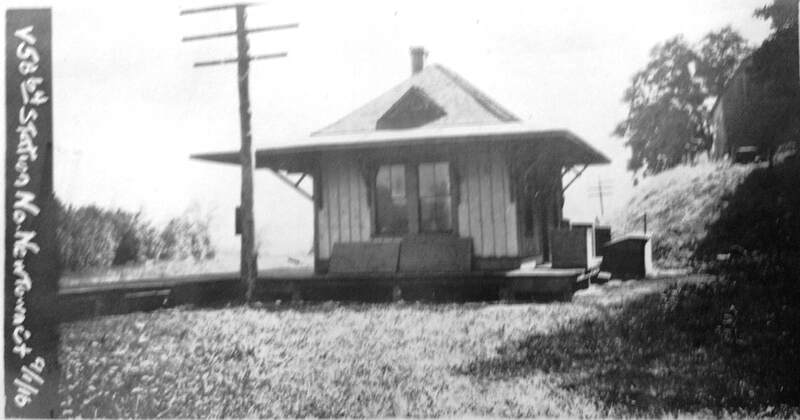 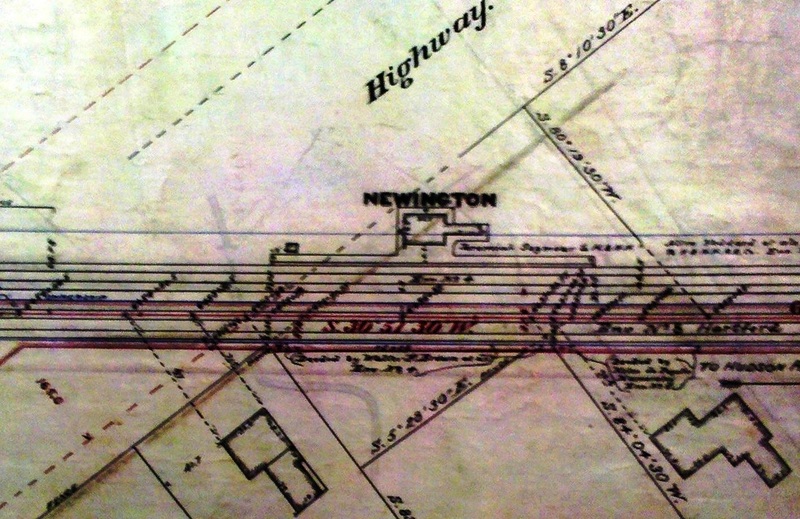 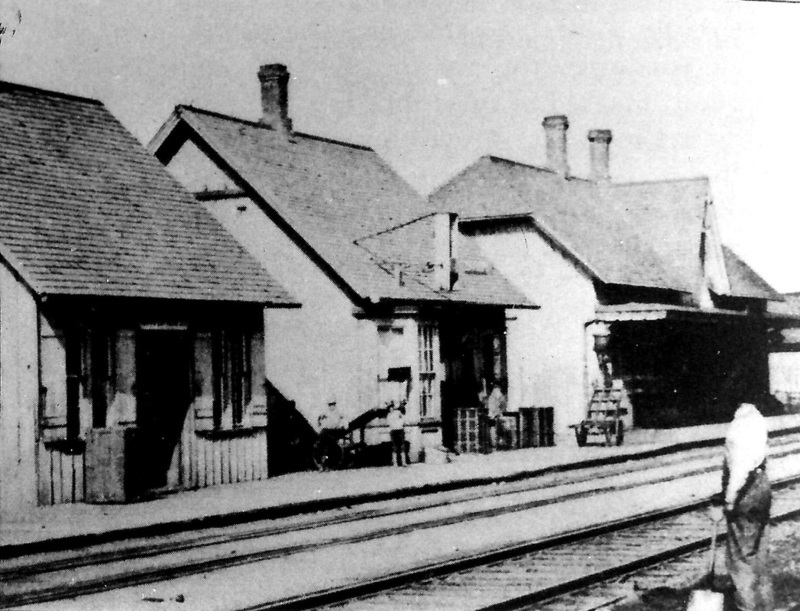 The 1878 station, now as the freight office, and the newly built three-story 1888 passenger station have been joined together on Commerce St. as NEW HAVEN8, the new terminal facility of the HRR and NH&D. 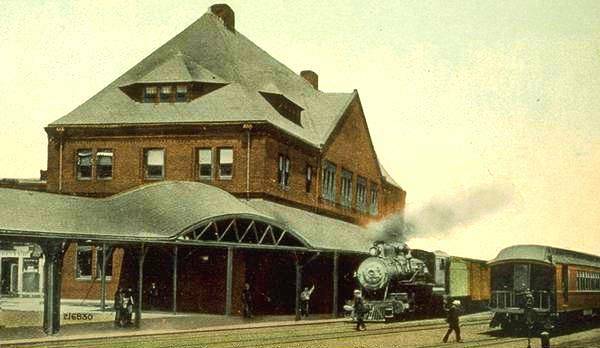 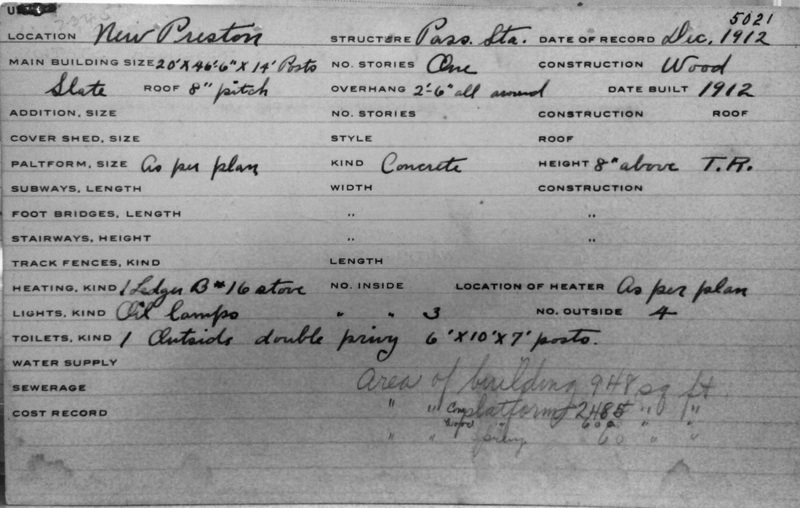 The building opened on 11/26/1888. 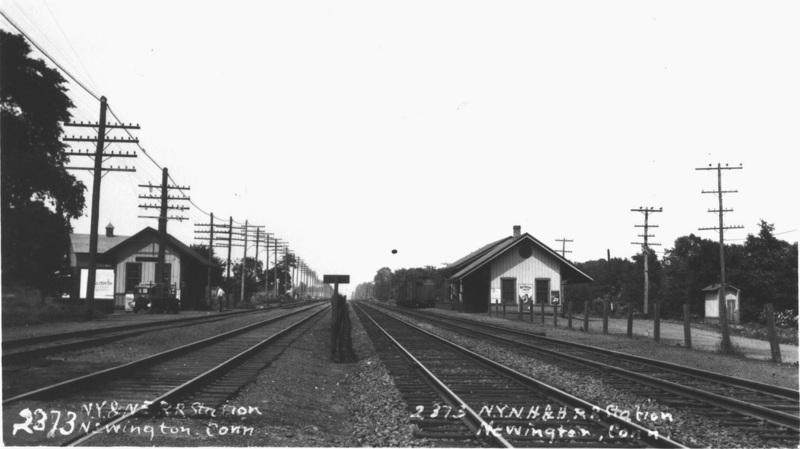 This view on the right is ca. 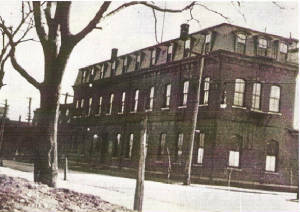 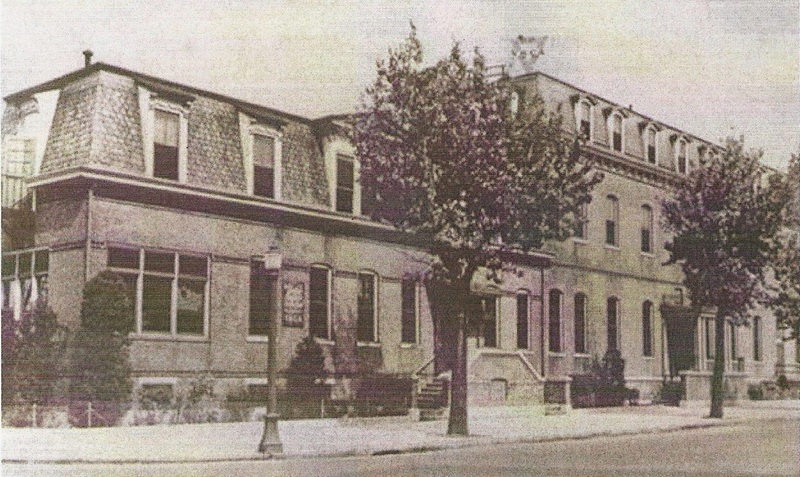 1920, long after the NYNH&H takeover and the use of this composite building as the South Orange St. RR YMCA since 1896. 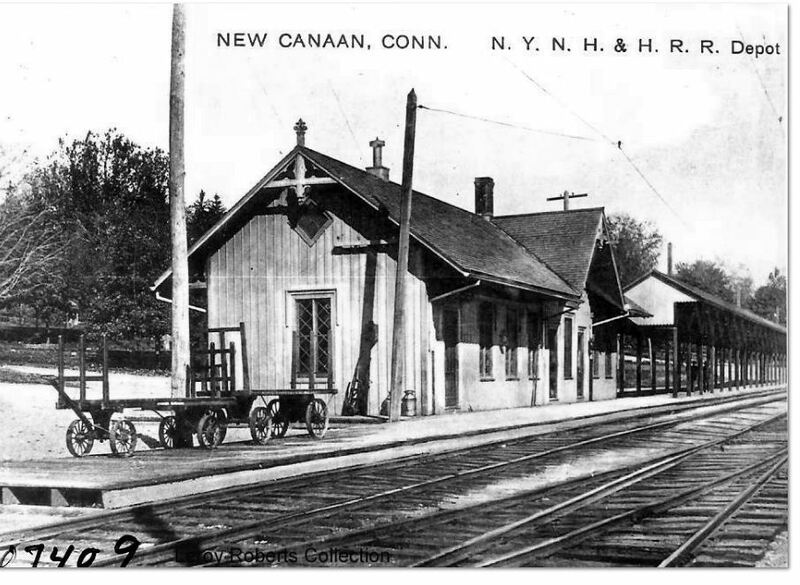 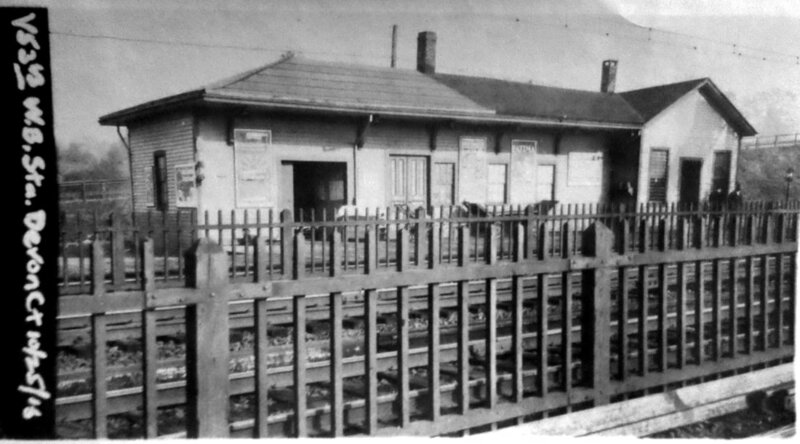 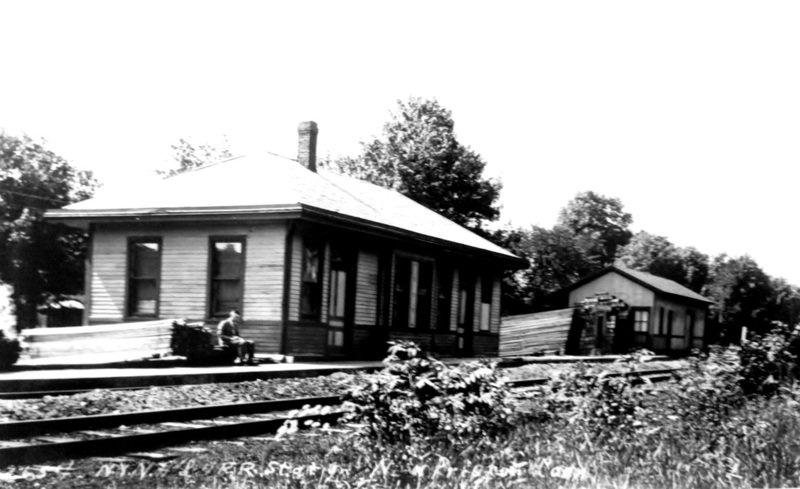 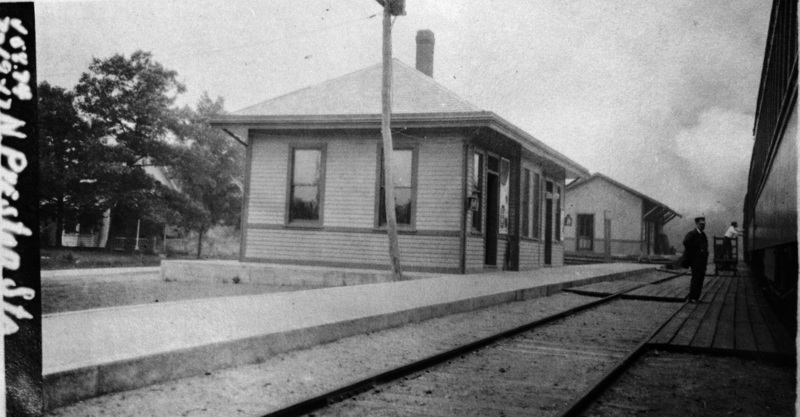 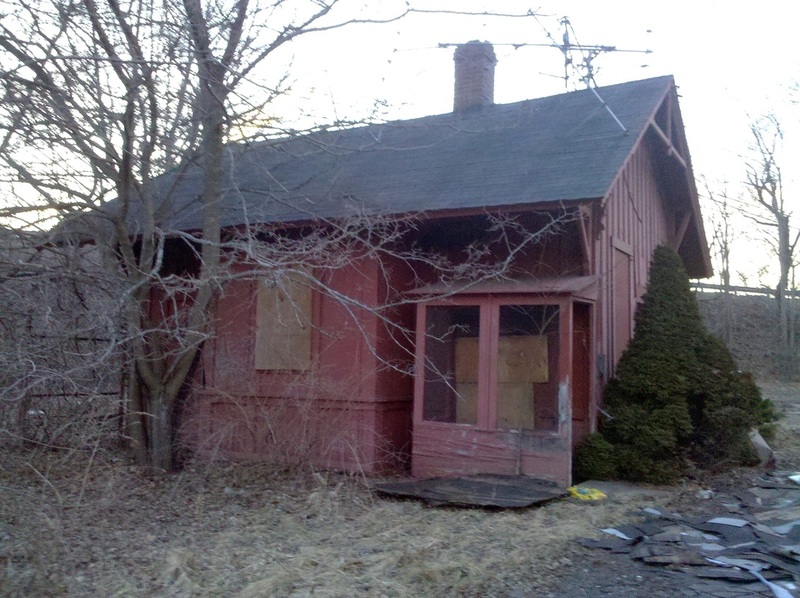 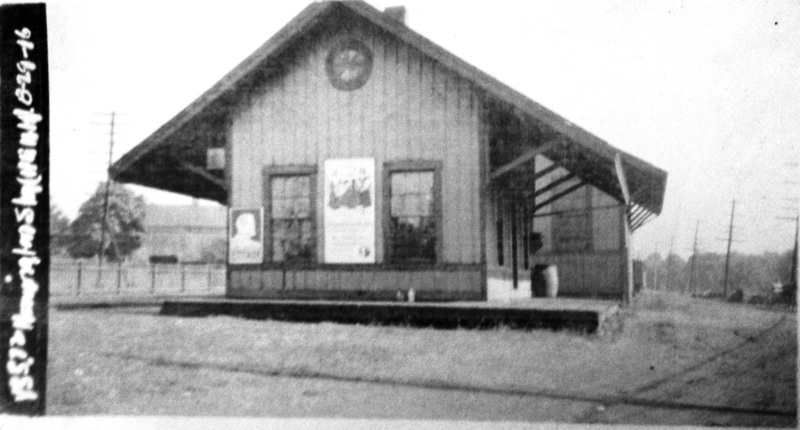 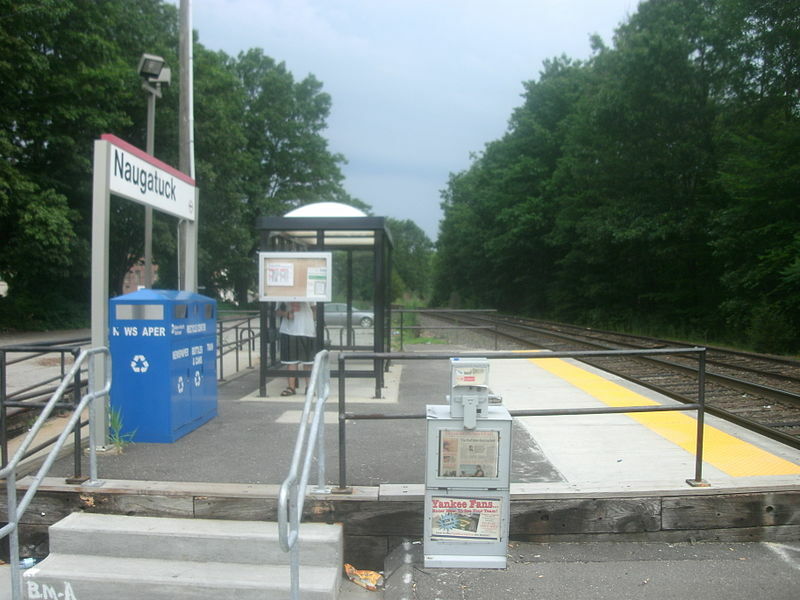 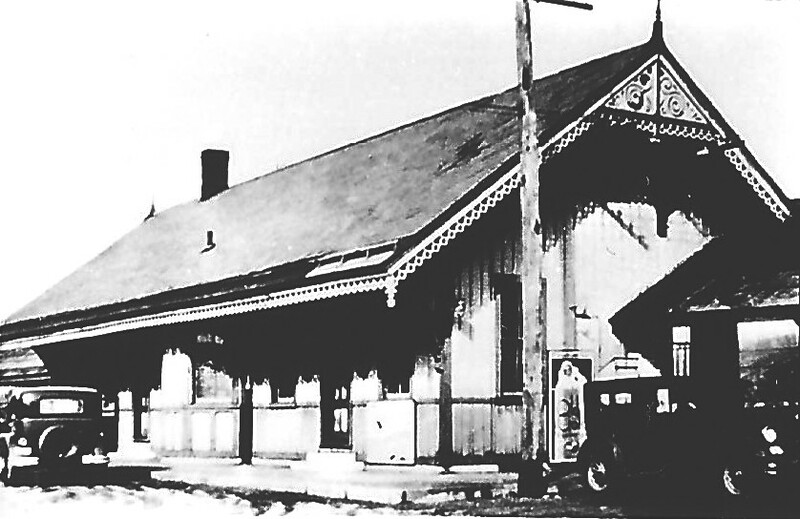 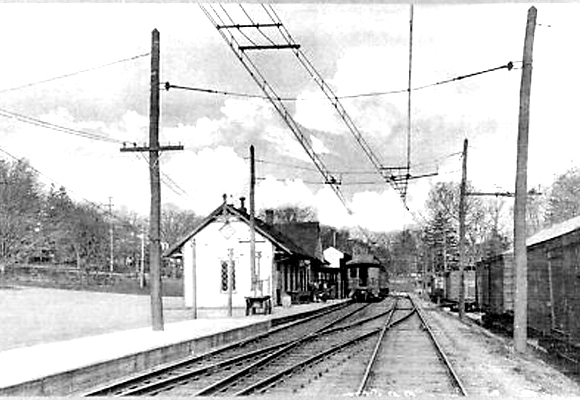 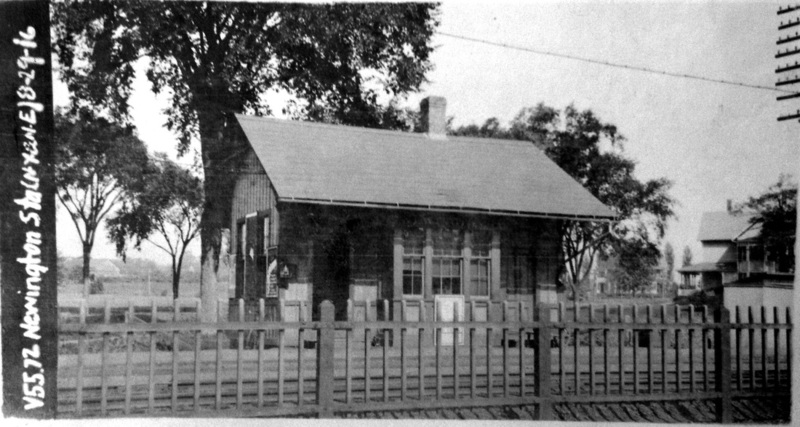 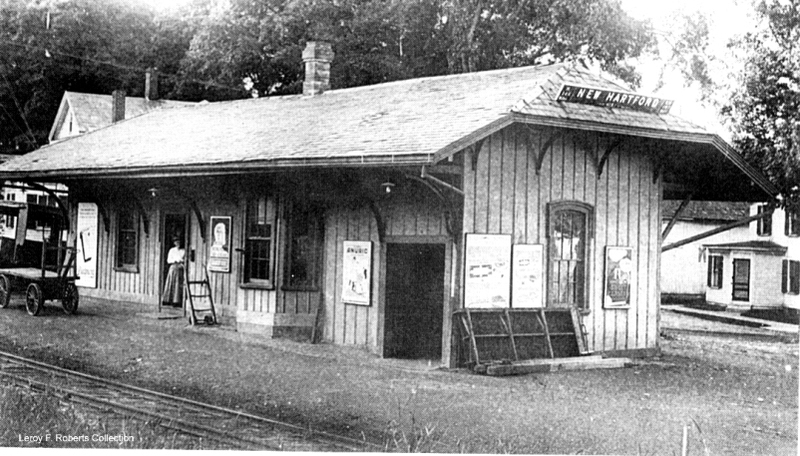 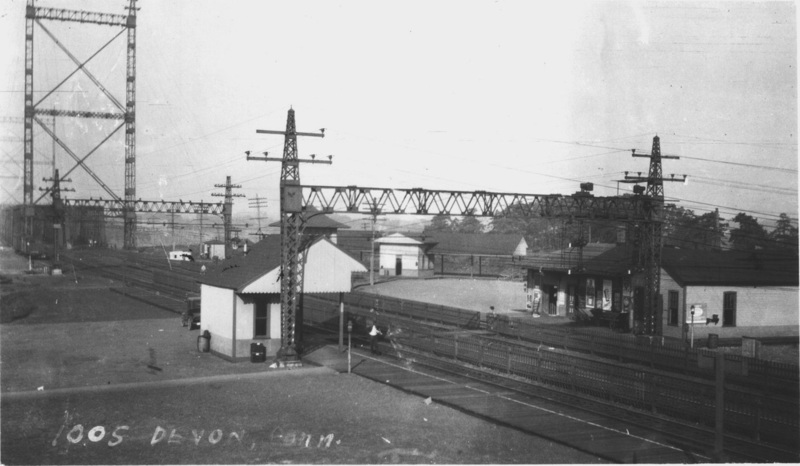 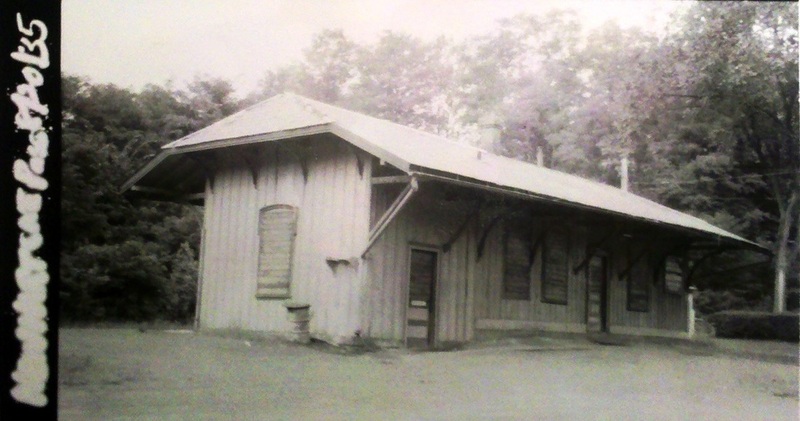 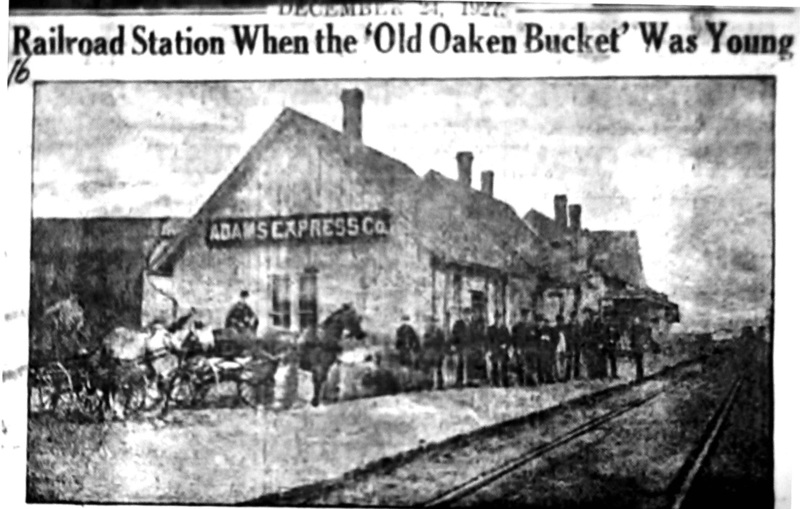 This station opened on 4/5/1920, was brought back from the prospect of demolition in 1985, and still serves as today's rail transit hub in the Elm City. 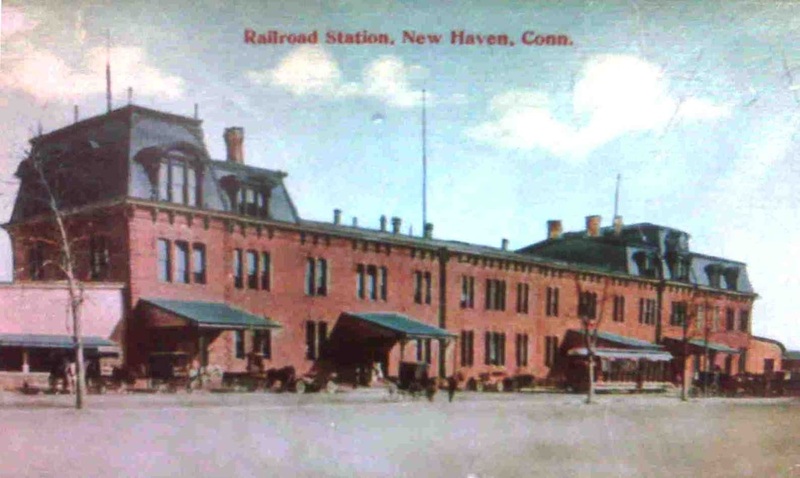 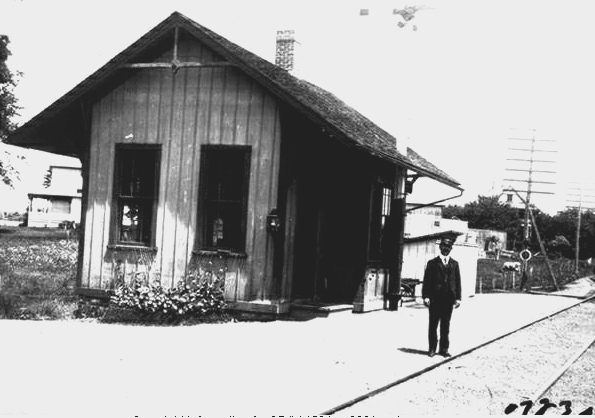 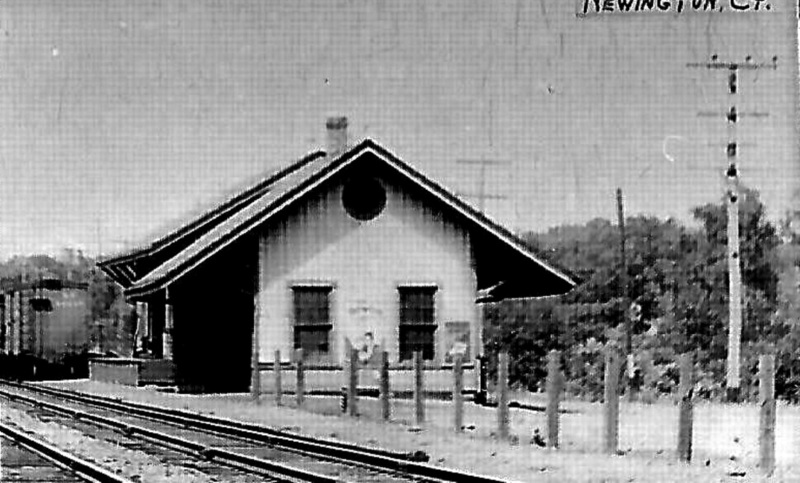 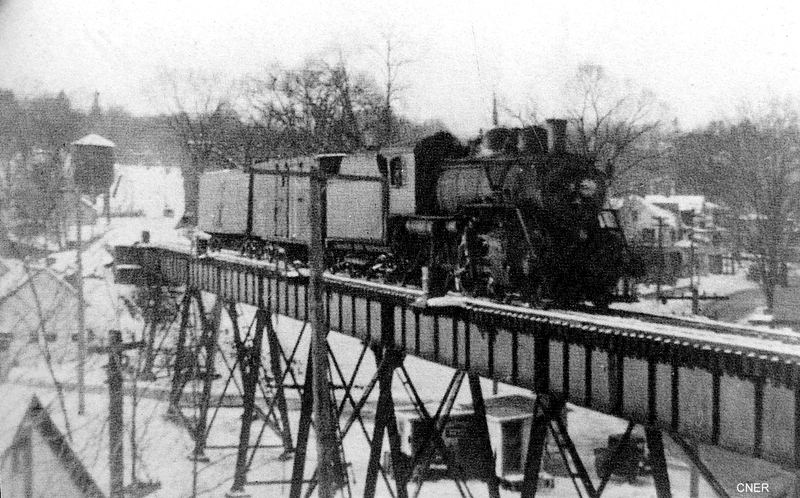 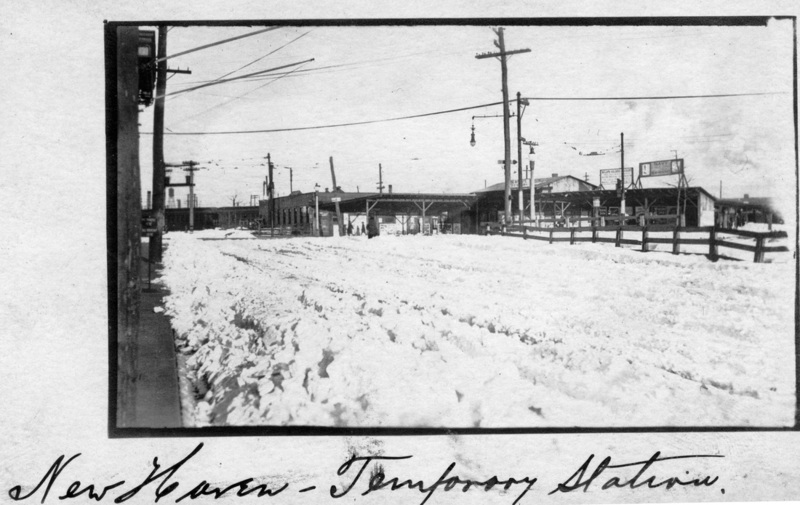 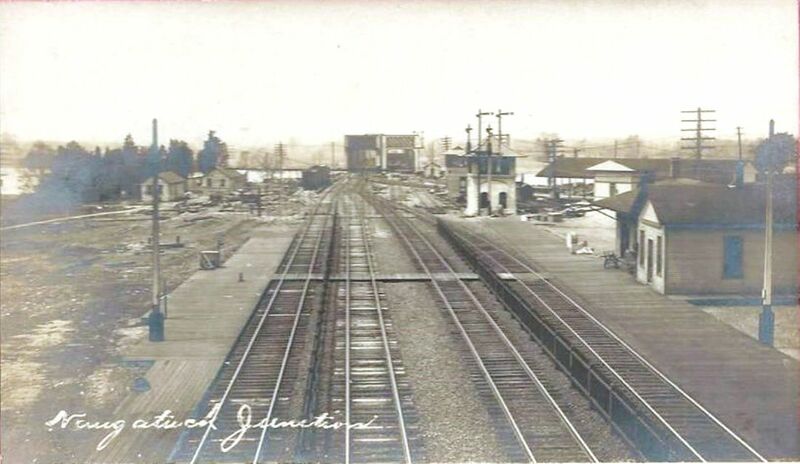 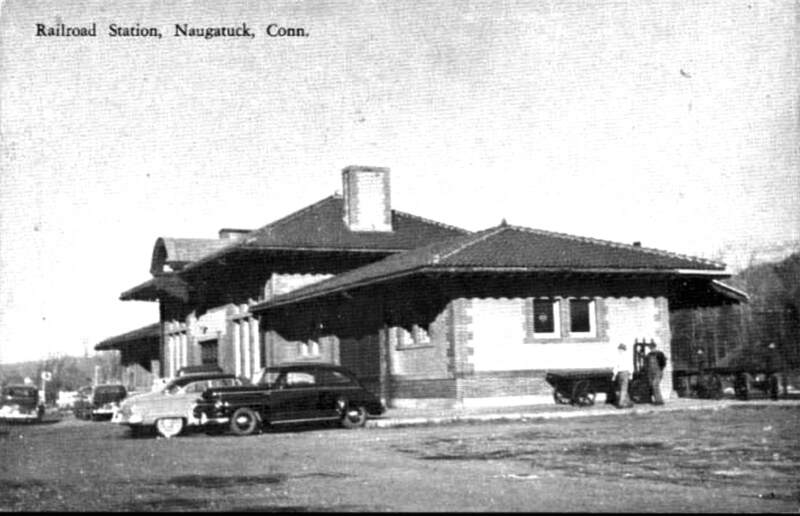 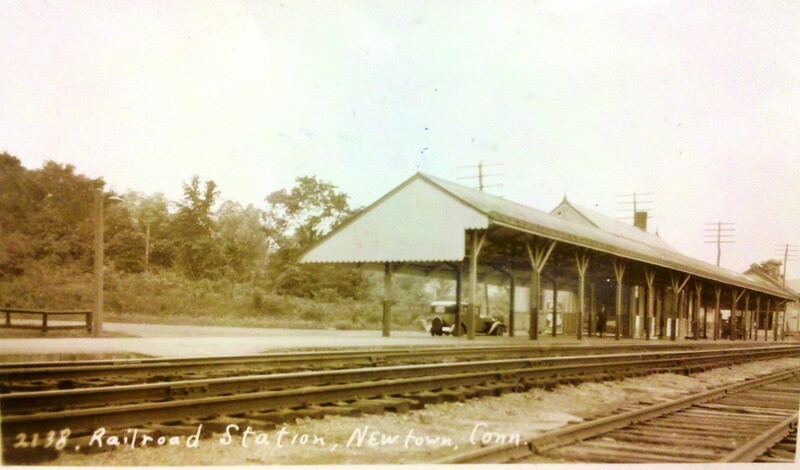 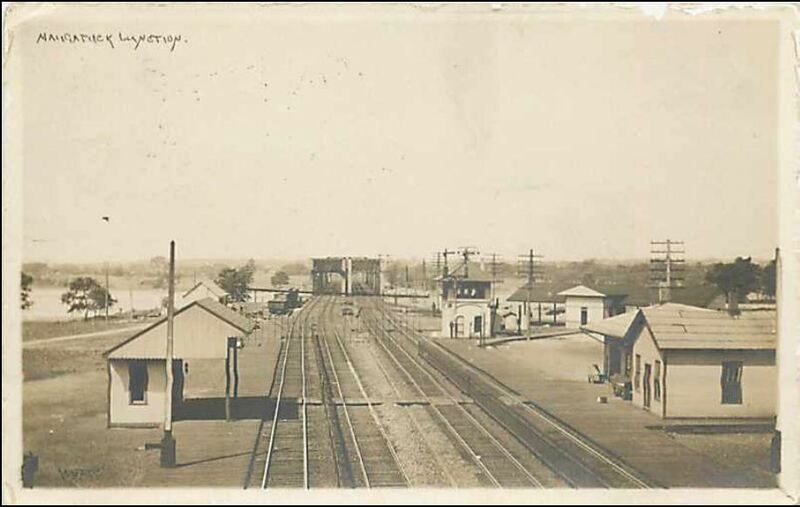 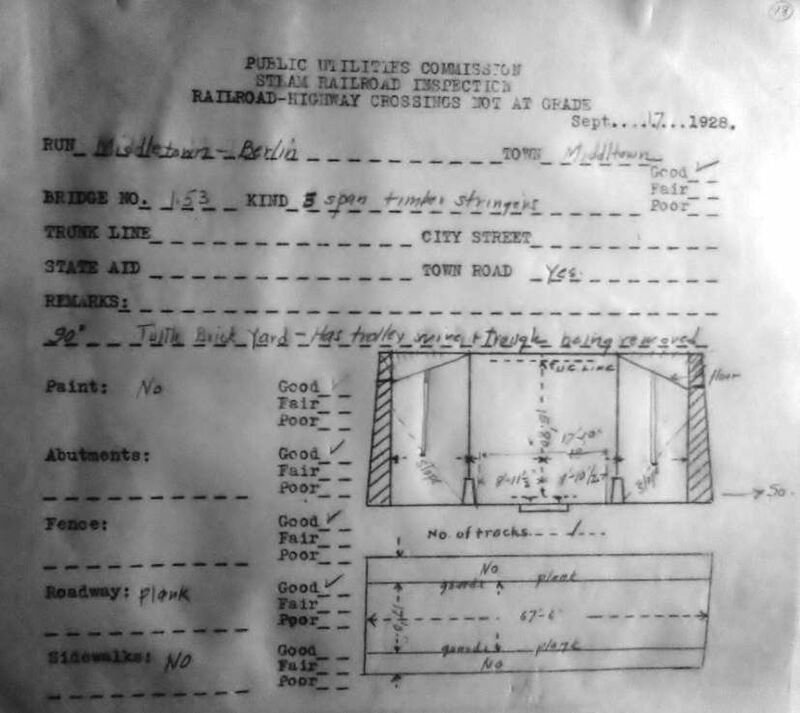 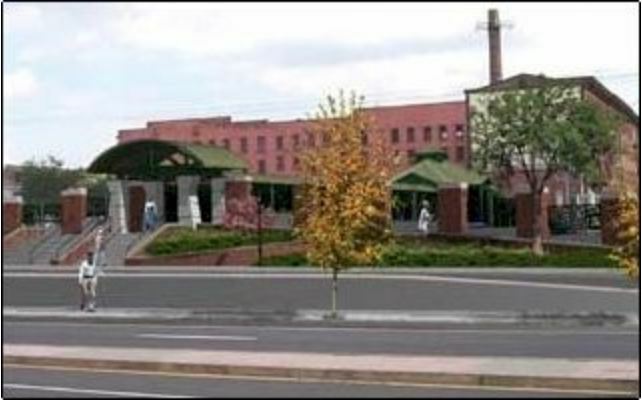 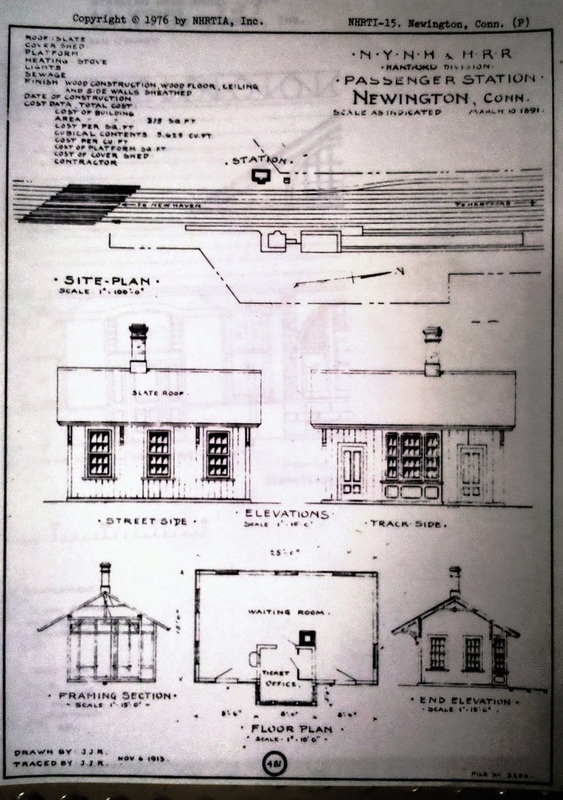 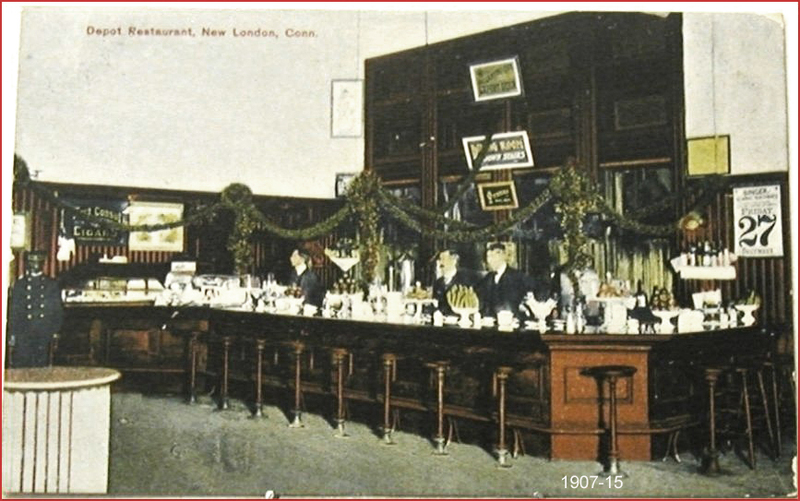 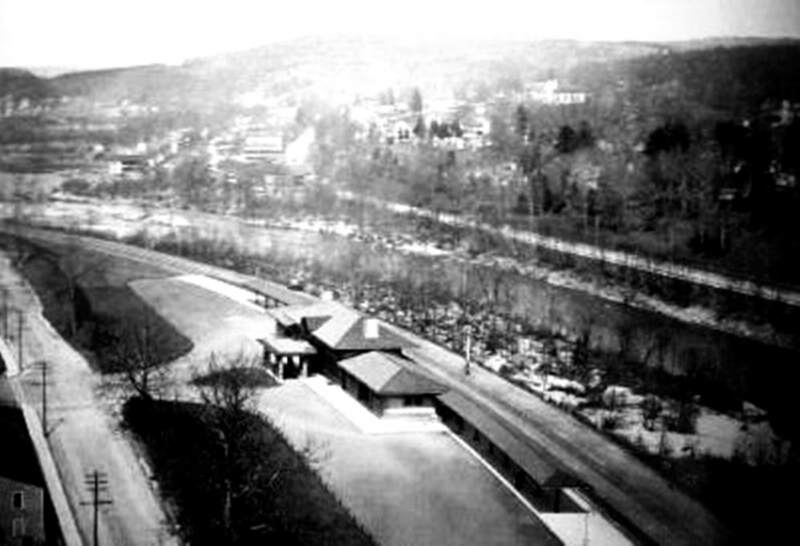 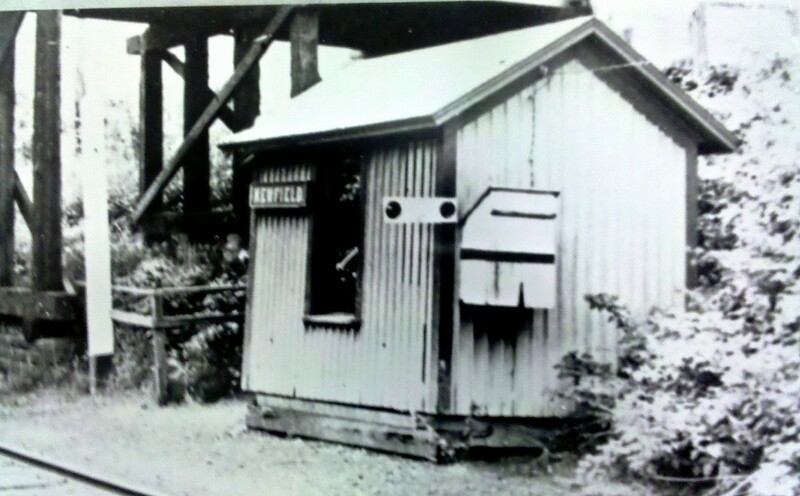 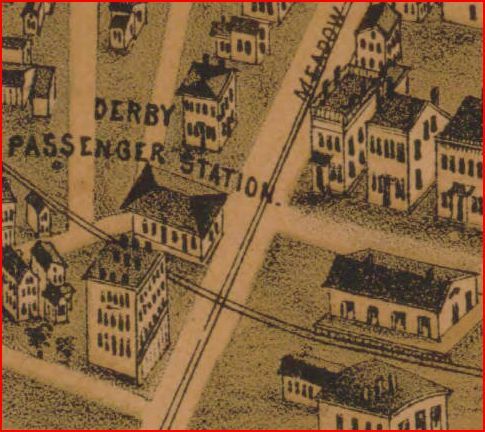 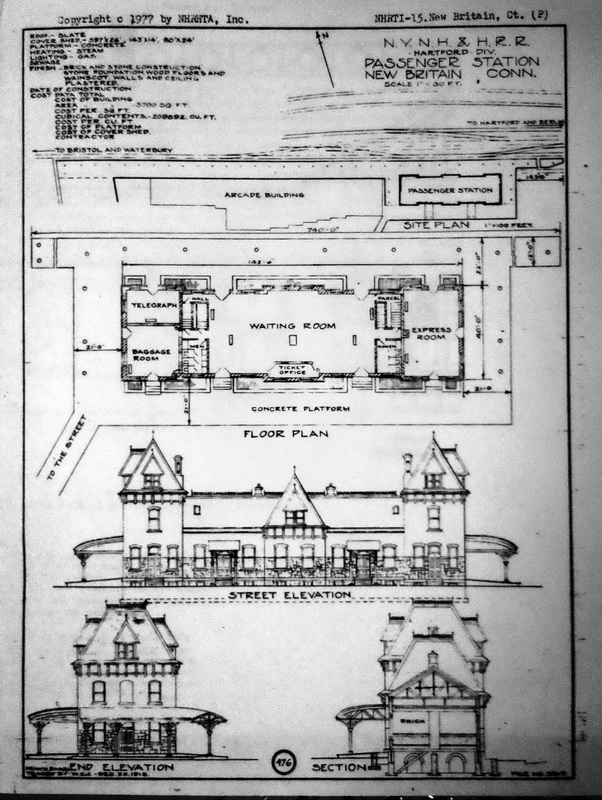 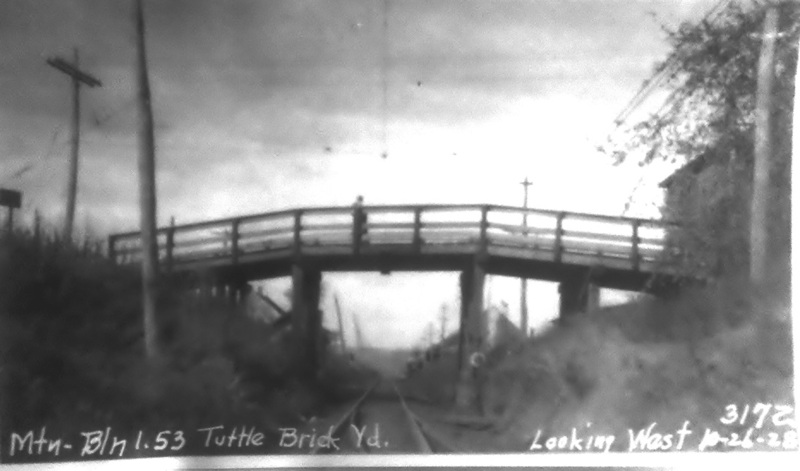 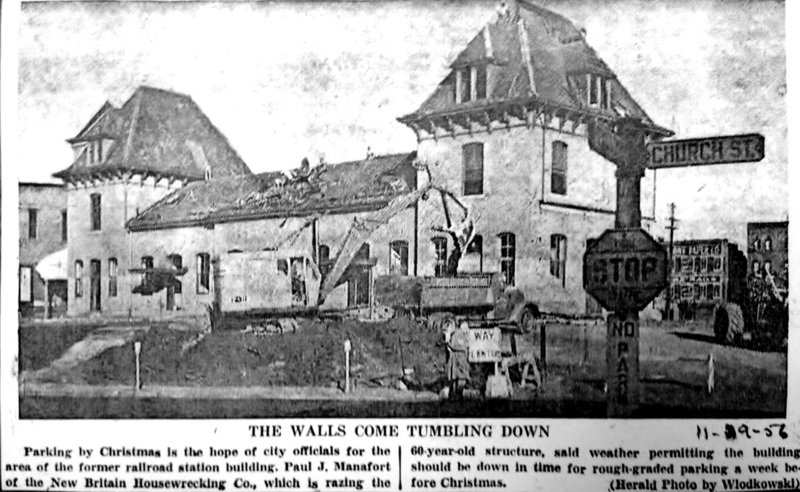 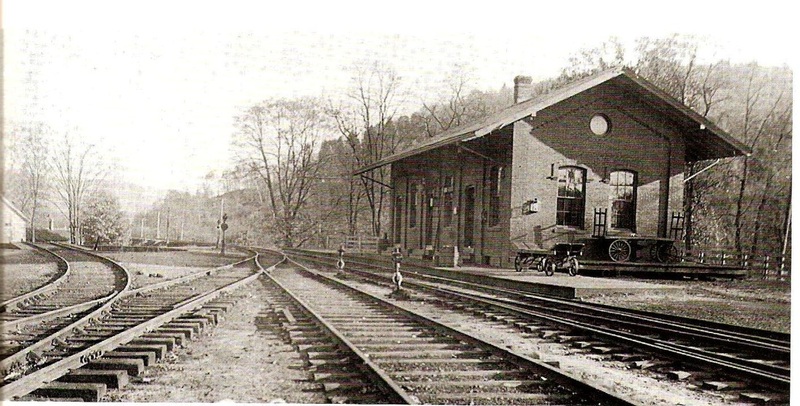 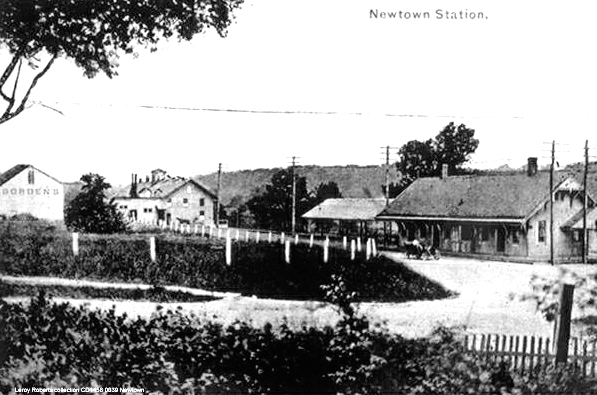 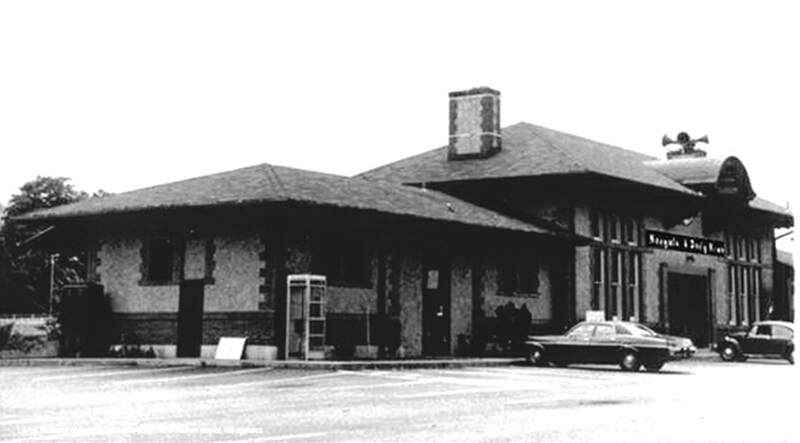 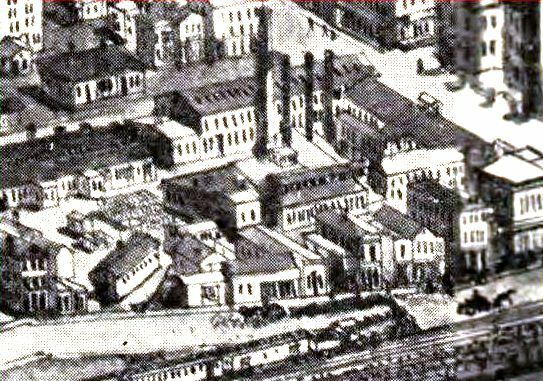 The card at left shows what this station was originally planned to look like until the railroad's financial problems scaled back the construction budget. 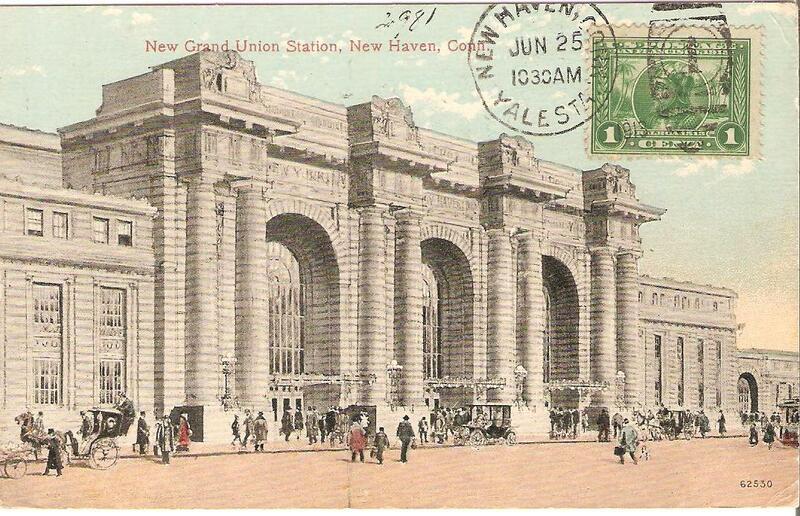 The postmark is from Yale Station on 6/25/1913. 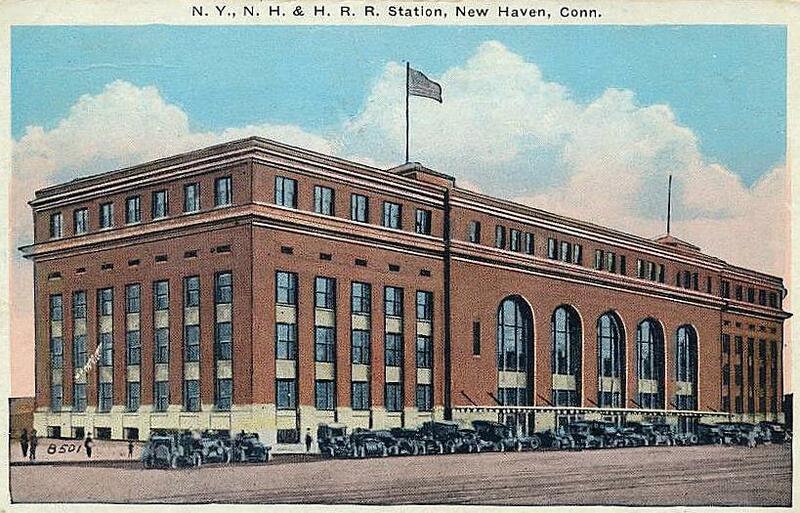 It is interesting that the aborted design made it to post card status, even as the actual station would not be built for seven more years. 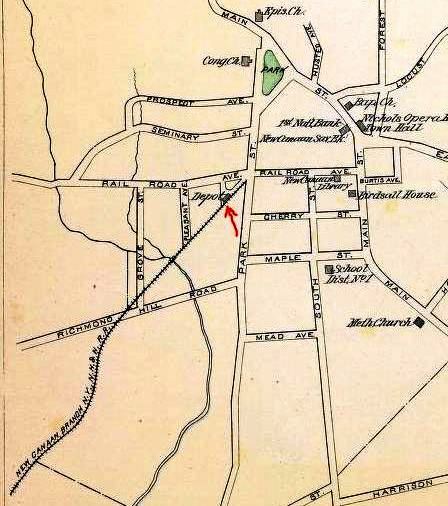 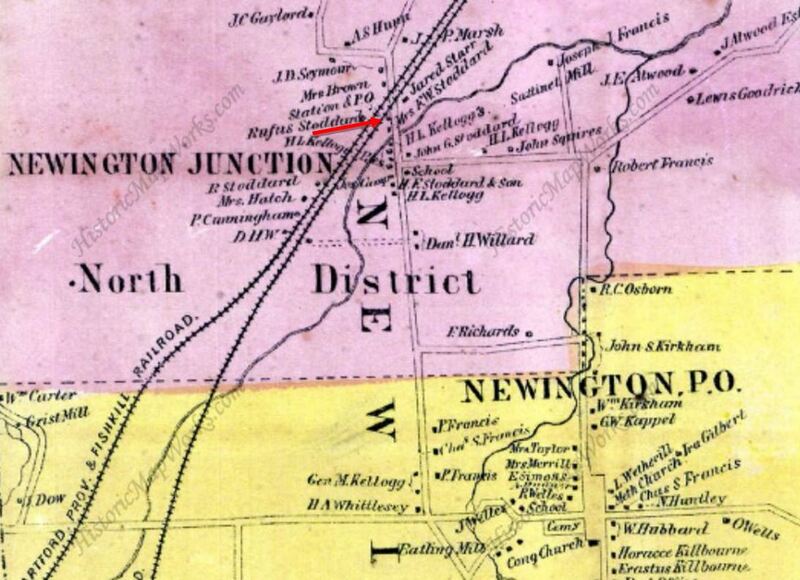 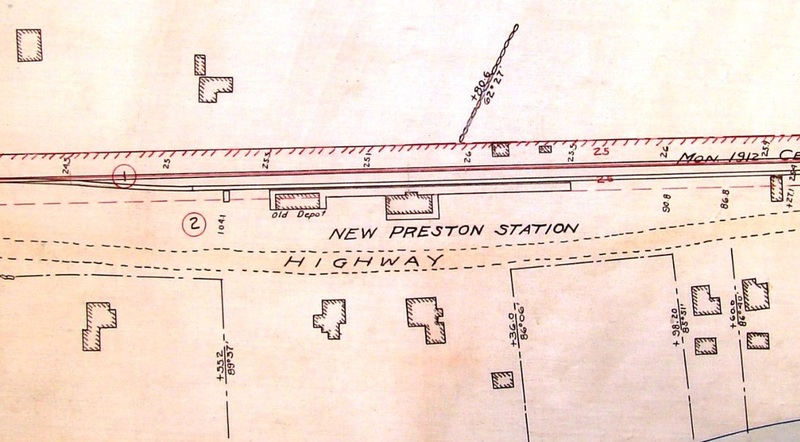 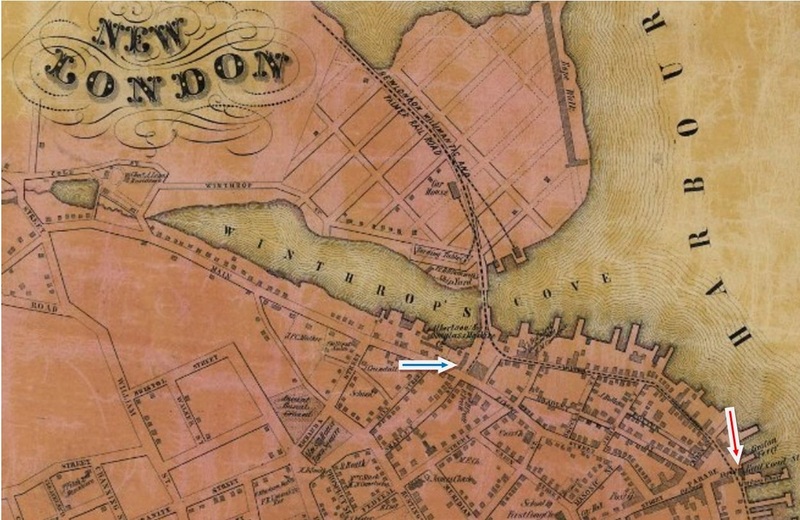 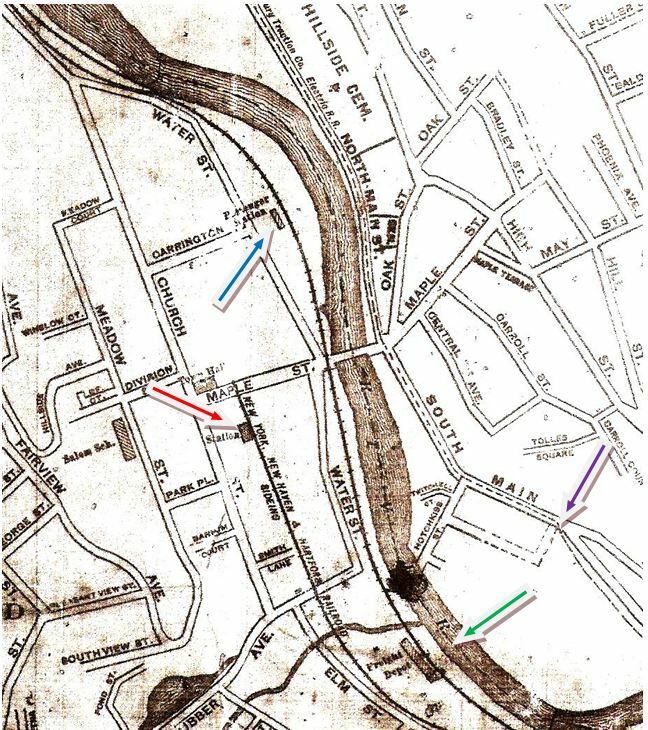 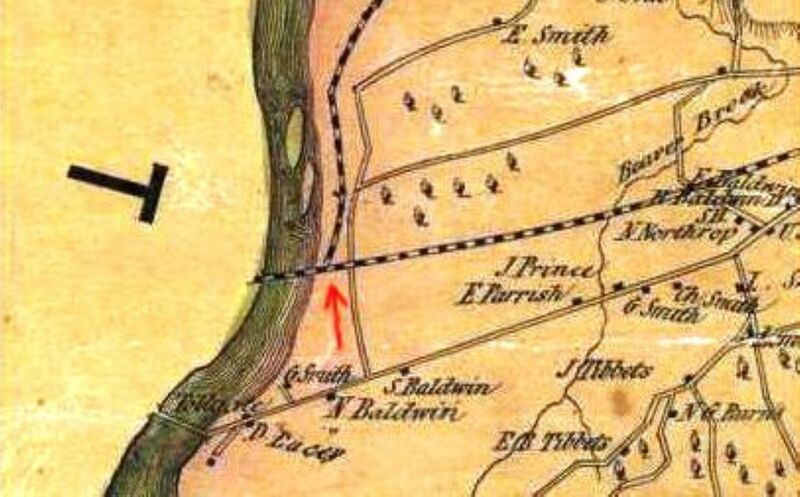 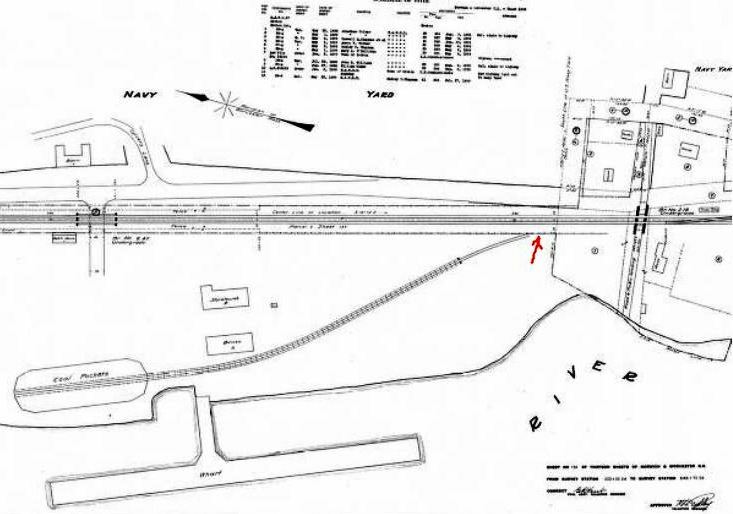 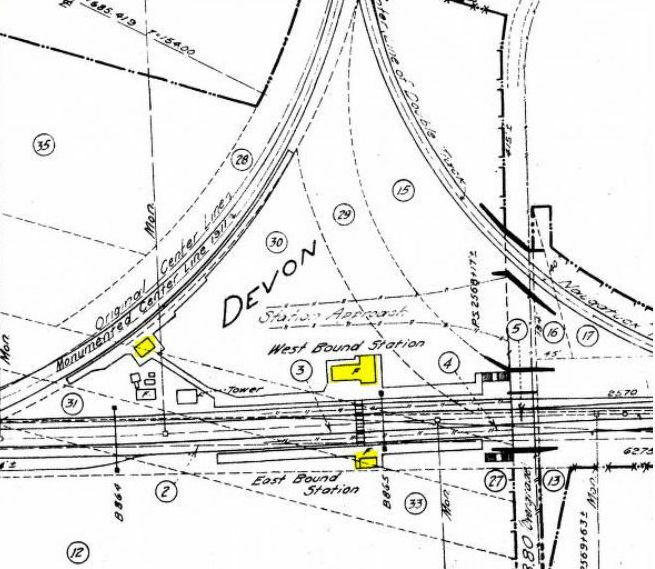 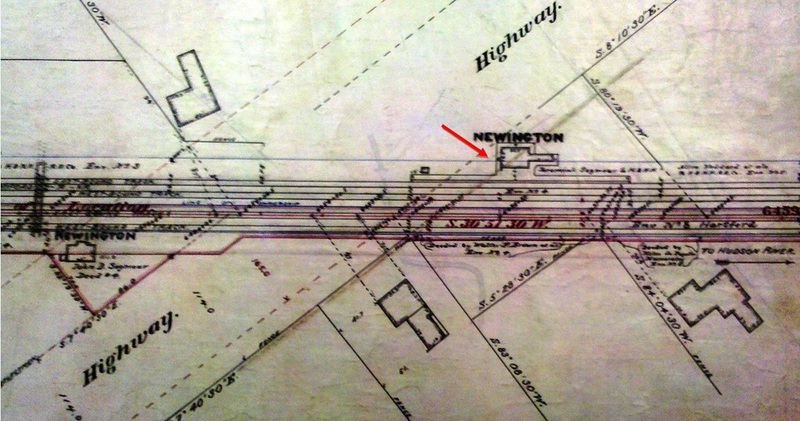 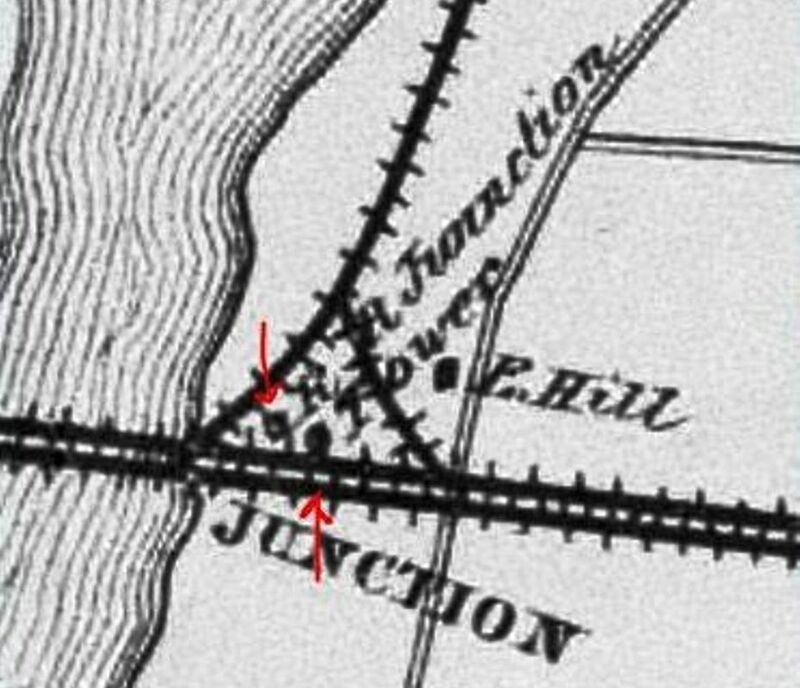 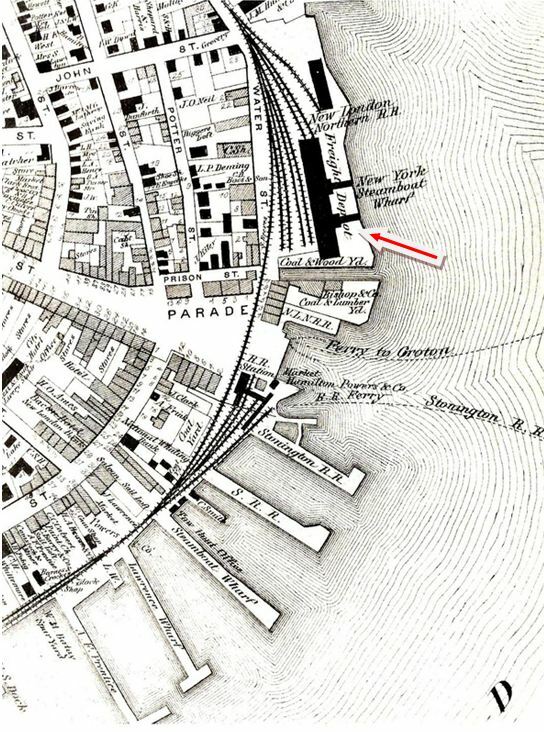 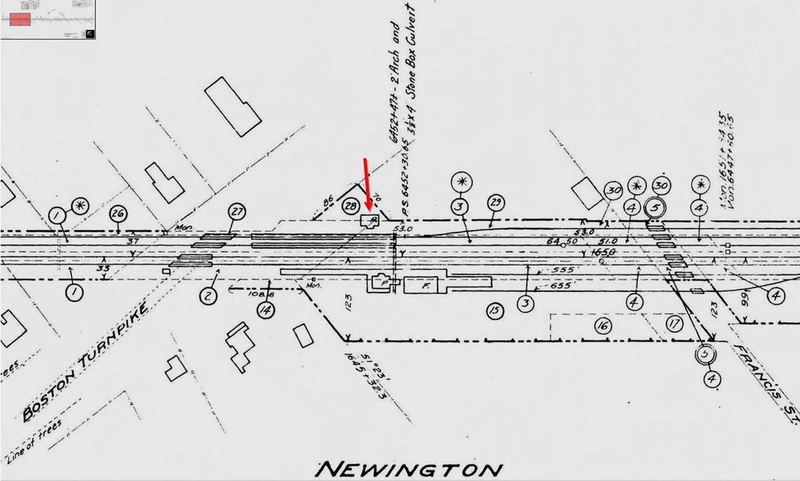 The 1876 Bailey bird's-eye map shows the rebuilt structure [red arrow] in some detail. 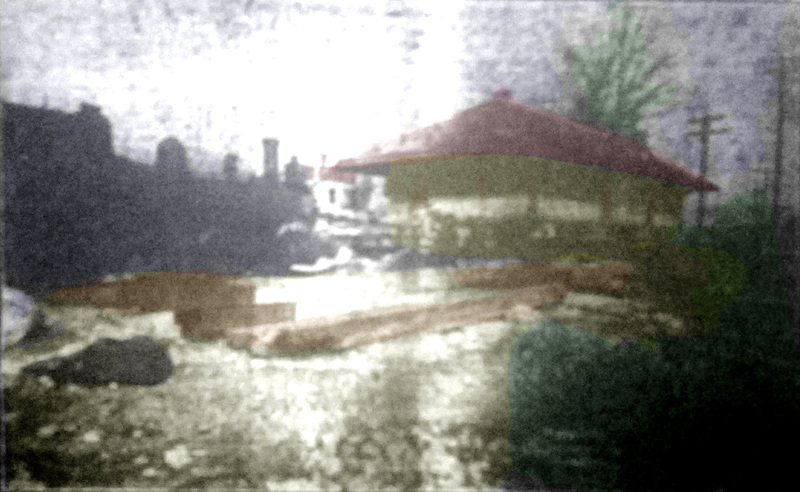 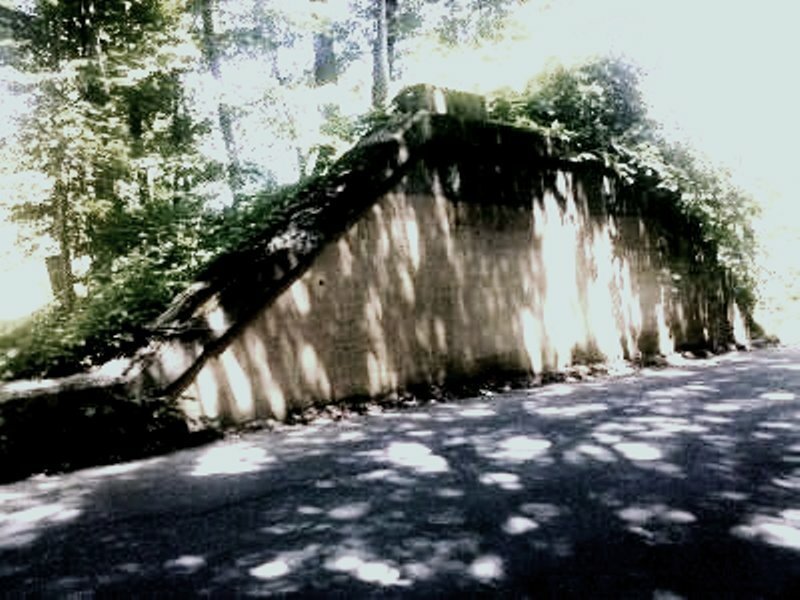 [add011814].